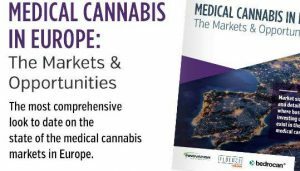 Facts and myths – the MJBizDaily factbook ‘Medical Cannabis in Europe: The Markets & Opportunities’ provides a clear picture of the European medicinal cannabis for the first time. What does the European market for medicinal cannabis look like? Which regulations apply to which country, who produces, who imports and which producers make the largest contribution? Those questions and many more are answered factually and in detail for the first time by a special edition of Marijuana Business Daily, an American news outlet on the global cannabis industry. What transpires? Bedrocan is the clear market leader in Europe. More than 61% of the medicinal cannabis that is used by patients in Europe comes from our sites in Emmeloord and Veendam. A special team of journalists and researchers analysed the European market for medicinal cannabis. It produced a diverse picture, both in terms of regulation and figures. Just three countries – the Netherlands, Germany and Italy – have a significant domestic market, whilst all other countries together account for just 3% of the market. Furthermore, the Netherlands is the only country that is able to meet the needs of patients internally, as all other countries depend on import. In contrast to a popular argument, this import does not come from Canada. Besides the general European figures, the report also provides a good overview of the market and the regulations in more than 20 individual countries. If you are interested, you can download the MJBizDaily factbook free of charge. Developing new medication is a long and expensive process, marred by uncertainty. On average it takes 10 years before medication is registered officially, but in the world of cannabis it works the other way around. Cannabis and cannabis products are on the market already, be that legal or illegal. 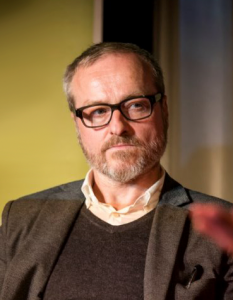 “It’s time for governments to get into gear”, argued Bedrocan’s CEO Tjalling Erkelens in a guest article he wrote for the German Hanf Magazine. Politicians and policy makers need to come up with universal regulations that are meaningful to the cannabis industry, the healthcare professional and the patient. No, this title is not an error. However, it certainly has to do with “confusion” and more in particular about confusion surrounding cannabis these days. Aside of all ‘big money’, ‘big pot’ and ‘big pharma’ discussions I do see an immense amount of confusion among doctors, patients, pharmacists, but also scientists, regulators and politicians. Since cannabis has become ‘hot’ everybody is trying to jump on the bandwagon and be part of the current ride that cannabis is taking in the world. Even worse, everybody nowadays also has an opinion on cannabis. At the numerous conferences and meetings that are now being held on this subject we see so much information either lacking, being false or at least incorrect and certainly not patient-focused. I am working in the world of cannabis since 1992. So that started only 16 years after fellow Dutchman Harm Dost, was arrested in Kleve (as a tourist). Harm Dost was known for his sales of cannabis in Arnhem, also to German people who he, at that time, treated as patients, calling himself a caregiver. In 1977, after having spent 18 months in a German prison, he was extradited to The Netherlands. In 1986 he was again sentenced in Germany, now to 10 years in prison. In 1987, on appeal the sentence was diminished such way that he was released from prison immediately. Twenty-two years later (2008) Germany imported its’ first medicinal cannabis from The Netherlands and sales through pharmacies, on prescription of a medical doctor started. So, I have seen the world of cannabis change from a full illicit/grey product and industry, basically without any surrounding scientific knowledge, into one in which science, industry and regulators / politicians have started to see the added (medical) value of cannabis. That doesn’t mean that everything now is perfectly right and ok. As said in the intro, there is still a lot of confusion among many stakeholders. Even today, a lot of politicians and regulators don’t see the difference between cannabis for medical use or recreational use. At the least they are struggling with it. Although the amount of positive scientific evidence is more and more piling up these days, the acceptance of cannabis as a medicine is still highly driven by emotions and (contra-)activism. Lack of consensus among scientists, lack of coherence and harmonization of regulations and an un-unified industry are frustrating development of proper cannabis-based medications, let alone proper access for patients globally. To unravel this relative complex problem, we have to start with a very basic question: ‘What is cannabis?’ Even till 5 years ago, the general answer was: ‘A plant, well-known for its’ healing, though psychotropic effects due to its’ main constituent THC.’ If you will ask today, a majority will tell you: ‘A plant, well-known for its’ healing and non-psychotropic effect due to its’ main constituent CBD.’ In between you will find people talking about terpenes, minor-cannabinoids, flavonoids, entourage-effect. But in the end, nobody is able to provide all the right answers. The only thing we do know is that cannabis works well for a lot of people in all kinds of suffering and diseases. However, from that point on, we all got stuck in a swamp of so-called expert-opinions, testimonies, n=1 studies and even hearsay. Now a number of governments is telling the newly arising cannabis industry to follow the well-known track of pharmaceutical drug development. That would mean in very broad strokes: develop your product, perform your (clinical) research, register your product, get market authorization and have your product into the patient’s hand hopefully reimbursed partially or in full. Following that track will mean another 10 – 20 years of waiting because that is what this ‘royal route’ brings with it. However, that time is not really available. Cannabis and cannabis derive products already are in the market (licit or illicit); efficacy is shown by means of the numbers and experiences. If you can show a 100.000 times or more positive N=1 (research on 1 person) results, is a result that cannot be ignored. In the end it means that the ‘royal route’ is not available, simply because we’re already far beyond that point. The combination of allowing cannabis to the market but having no proper or sometimes very ‘creative’ regulations in place is not good for patients, nor their caregivers. It has become time now for regulators on a global, or at least multi-national level, to come together and unify regulations on the basis of safety and efficacy on one hand and immediate, proper and responsible access on the other. Germany (although still struggling as we all know) is a good example of allowing and regulating at least that combination of factors to happen. Maybe instead of all those business conferences, the industry should focus on more regulator conferences. Let’s make 2019 “Year Of The Regulator”. In 2018, the UK government took significant steps in terms of the use of medicinal cannabis. Since the 1st of November 2018, medical specialists have been permitted to prescribe medicinal cannabis in specific situations. For a while, it seemed like the icing on the cake for a large group of patients and supporters in the UK who worked tirelessly to put medicinal cannabis on the political agenda and for the rules to be amended. Young patients Alfie Dingley (7) and Billy Caldwell (13) became the figureheads. Both boys suffer from a serious type of epilepsy, but it had become evident that medicinal cannabis could make an enormous difference to them. After Charlotte Caldwell, mother of Billy, was arrested at Heathrow Airport in June 2018 after purchasing medicinal cannabis oil in Canada, they were given an emergency license so Billy could continue taking his oil. 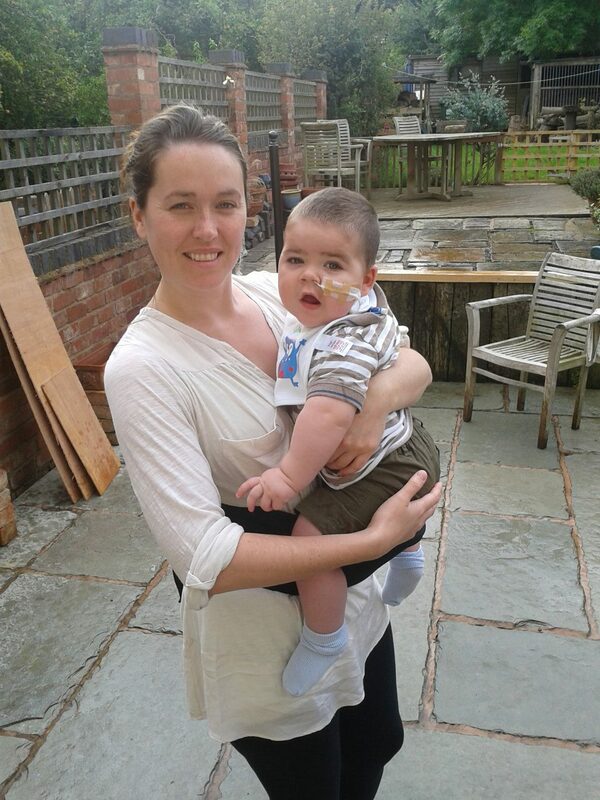 Hannah Deacon, Alfie’s mother, also made the news on a regular basis. 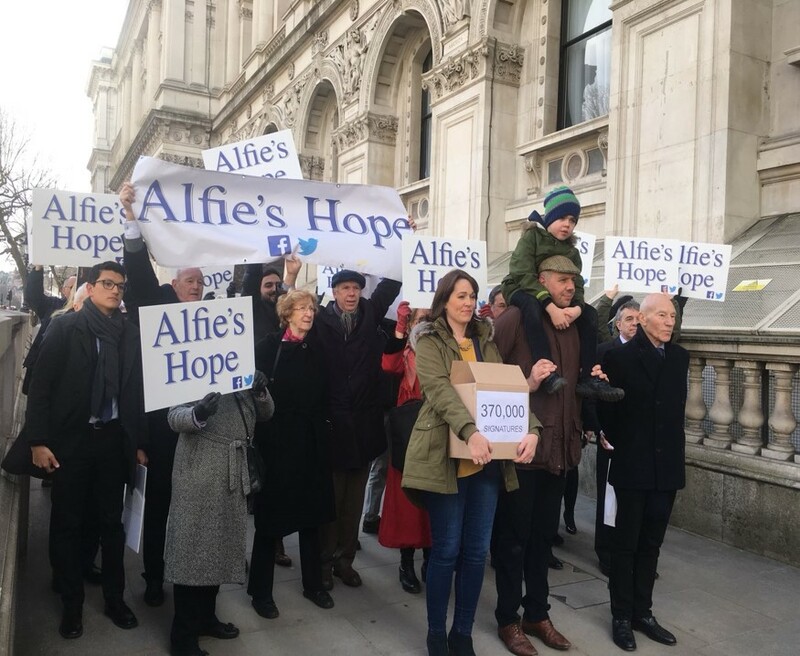 She started a campaign, personally met PM Theresa May and asked her to change the rules and allow a license to be issued to Alfie to use the oil he had used so succesfully in Holland. Among other things, they also managed to win actor Patrick Stewart for Alfie’s case. Alfie’s doctors recieved the first medicical cannabis license which was issued on 19th of June 2018 and then they could import and use medicinal cannabis from Holland. Hannah was the first person in the UK to bring in THC oil legally through customs in July 2018. In addition, in June 2018, Home Secretary Sajid Javid announced that the use of medicinal cannabis would be reviewed. He made it clear from the start that this review would not lead to a full legalisation of cannabis, ensuring a clear distinction between recreational use and medicinal applications. The outcome was a strict set of rules that became effective as of the 1st of November. Medicinal cannabis was also moved to a category of drugs (Schedule 2) that is still controlled, but that may be prescribed in certain situations. For example, only specialists in a hospital may issue prescriptions for a limited number of disorders. This concerns children with rare and serious types of epilepsy, adults who are undergoing chemotherapy and adult MS patients. Furthermore, treatment with medicinal cannabis may only start when all the other options have been exhausted, whilst the NHS argues that the treatment method needs to be proven to be effective too. Dr Michael Bloomfield, a leading research fellow in psychiatry at University College London was able to accept this ‘sensible’ approach as, like many other healthcare professionals, he is waiting for scientific evidence. 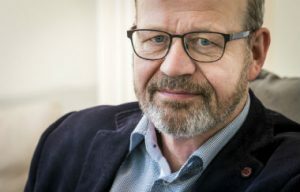 “When we don’t have very strong evidence for any medicine, then it should be hard to prescribe something because we should be prescribing medicines when there’s a very strong evidence base for them”, he told BBC News. Yet it cannot be denied that the UK is taking steps in line with other countries in Europe. Up to the 1st of November 2018, Billy, Alfie and many other English patients did not have access to medicinal cannabis at all without a special license. Nearly all medicinal products based on cannabis were Schedule One drugs, that were assigned no medicinal or therapeutic value and the use of which was prohibited. MS patients were allowed to use Sativex®, whilst Nabilone® was given to cancer patients. However, the use of these registered products was subject to conditions. Availability was a general problem for patients for whom regular treatment methods no longer worked, as was the case with Alfie Dingley. So in September 2017, Hannah and Alfie crossed the Channel to the Netherlands to find out whether medicinal cannabis provided relief; in the Netherlands medicinal cannabis has been available on prescription since 2001. Time was of the essence for Alfie. Hannah, Drew, Alfie, Patrick Stewart and supporters. On Thursday the 14th of February, the first bulk batch (800 gram) of medicinal cannabis from the Netherlands reached the UK. The English company Grow Biotech had been given permission to import the batch. This is not cannabis oil, but standardised medicinal cannabis of pharmaceutical quality that is produced under the responsibility of the Dutch government. That first batch of cannabis appears to have opened up a new, official route and possibly puts an end to a system where import is permitted for a select number of patients who then need to organise the import process themselves. The risk is that the import procedure takes longer than the validity of a prescription (28 days), making the bulk import essential according to many of those concerned. The cost of medicinal cannabis is another threshold for many patients. Some patients spend approximately 700 GBP per month and there is still no set procedure for reimbursement. At the end of 2019, the National Institute for Health and Care Excellence is due to publish guidelines for medicinal cannabis. The NHS will use those as the basis for possible reimbursement. It is often reported that cannabis strains which are high in CBD are less impairing than those with equivalent THC but low levels of CBD. However, a recent study carried out by the Lambert Initiative at the University of Sydney and led by Australian researcher Thomas Arkell suggests that CBD might actually exacerbate some of the impairing effects of THC on driving and cognition. It has already been established that cannabis can negatively impact the ability to safely drive a car. The effects can vary substantially between individuals; however, cannabis is generally thought to have a mild to moderate effect on driving. This is a point of concern for patients who often use medicinal cannabis as a last resort in dealing with their illness. The research team of Maastricht University is looking for healthy volunteers between the age of 18 – 50, ideally a fifty-fifty mix of male and female. They are looking for occasional cannabis users, who use no more than twice a week. Driving is a complex activity that requires many cognitive skills – looking, changing gear, assessing, planning, judging etc. 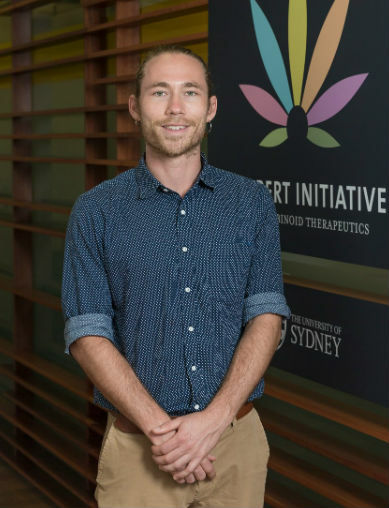 PhD student Thomas Arkell recently ran a randomised, double-blind and placebo-controlled crossover study to investigate the effects of vaporized THC and CBD on driving with the support of the Australian research institute the Lambert Initiative. He was surprised by their findings: “We found that cannabis containing both THC and CBD had a worse effect on driving performance than cannabis with only THC”. Further, when participants received both THC and CBD, they had slightly higher levels of THC in their blood compared with when they had just received THC. So should patients not be allowed to drive after they take their medication? It continues to be difficult to issue general advice to patients who use medicinal cannabis. The effect of cannabis differs from patient to patient. Mr Arkell continued: “Cannabis is not as straightforward as alcohol. Each person metabolises the drug and responds to its effects in a different way which makes it hard to say whether a certain amount of THC in your blood or saliva will have a particular effect”. In the study, participants were still impaired 3.5 – 4 hours even though they felt much less ‘high’ at this time. According to Mr Arkell these results suggest that patients should probably avoid driving for at least 3-4 hours after taking their medication. Arkell: “With more research, we can hopefully provide better guidelines for patients who may be unsure how long they need to wait before driving.” A follow-up study led by Dutch Professor Johannes Ramaekers of Maastricht University is currently being developed and will begin this year. The follow-up study will use the Bedrocan and Bedrolite products as well as a placebo and will incorporate an on-road driving test. Maastricht University has carried out studies into the effects of cannabis on driving performance before. They use a unique test vehicle with dual-controls and roof-mounted equipment to measure various aspects of driving ability. The driving test runs for approximately 1 hour and is done on a 100 km stretch of highway near Maastricht with an instructor present in the car at all times. The on-road driving test has a significant advantage over a simulated driving test as it better approximates real world driving conditions. What is considered to be impaired driving? In moving ahead, Thailand has established a governing committee which covers production and extraction, medical indications, regulation, clinical trials and knowledge development. This executive committee has now explored ‘best practice’, having visited multiple countries where the medicinal use of cannabis is already underway. Like for opioids, there will be a need for educating patients and family about the risks and benefits of cannabis-based medicines. Equally, there will be a need to moderate expectations about cannabis-based medicines, given the media hype about them being a ‘panacea’. Like in the Netherlands in early 2000’s, Thailand is approaching this matter from an objective, scientific basis. The health and wellbeing of the population are dominant concerns. Making cannabis-based medicines affordable is also essential. The GPO is responsible for delivering essential medicines to the population at an affordable price. It is likely that the GPO will also lead the advancement of cannabis-based medicines for Thailand. Thailand is a respected thought leader in the ASEAN community. It is likely that neighbouring countries will watch the developments closely as Thailand progresses toward the re-introduction of cannabis-based medicines. Infinity Pharma in Helmond, the Netherlands, is a pharmacy that works with regular medication as well as ‘new’ medicinal products, such as cannabis oil. It is one of the four pharmacies that compounds medicinal oil from standardised medicinal cannabis under the supervision of the Dutch government, and in accordance with GMP guidelines. The Office for Medicinal Cannabis in the Netherlands oversees the whole process. “The demand for cannabis oil is high and we like to meet it. But it has to be produced responsibly. Until the 8th of August 2018, Infinity Pharma was known as GMP Apotheek Mierlo-Hout, a well-respected pharmacy with advanced medicinal knowledge and a strong dialogue between prescribers and patients allowing for ‘personalised medicine’. This led to a desire to produce cannabis oil in-house which could be issued to patients on the basis of a prescription. “We saw an increase in the interest in cannabis oil and we did not want to ignore that”, says Key Account Manager Loes Haast. The Helmond pharmacy Infinity Pharma is part of the Fagron Group that has 200 pharmacists in more than 50 sites on 5 continents. Rafael Padilla, CEO of Fagron, used to be a pharmacist and aims to roll out the Infinity Pharma concept in Europe. The site in Helmond is the first of its kind and serves patients and consumers from the Netherlands, Belgium and Germany. 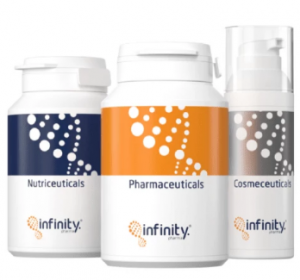 Fully in line with the history of the pharmacy in Helmond and the mission and vision of the parent company, Infinity Pharma offers regular medication alongside ‘personalised’ products. The pharmacy strives to have customised products for each patient and uses its own system of medication control to avoid risks. “This is the last time I’ll be doing this on my own”, said Rudolf Brenneisen on the eve of third STCM congress around the middle of January. “I really enjoy organising a congress and the previous ones demonstrated that scientific meetings about medicinal cannabis meet a need, but it is too much work for one person. In the 1970s, Mr Brenneisen took his first steps as a cannabis scientist, but in the forensic sphere. On the instructions of the Swiss Drogenpolizei he was at the cradle of a reliable method for determining the THC content of cannabis, and then moved to the Research Institute of Pharmaceutical Sciences in Oxford Mississippi, where together with Professor Mahmoud ElSohly he worked on the chemical fingerprint (terpenoids profiling) of the cannabis plant and its active components (cannabinoids). This knowledge brought Mr Brenneisen to the laboratory of the Drug Enforcement Administration (DEA) in McLean, Virginia around the middle of the 1980s. A beautifully framed certificate on the wall in Mr Brenneisen’s office in Bern serves as a daily reminder of that period. In the end, a pilot study with muscle-spasm patients brought the Swiss cannabis specialist back to his country of birth. Some countries permit products containing CBD either as food supplements or by turning a blind eye, but the reverse applies in Austria. The country recently prohibited CBD because the government believes that the product is uncontrolled and sales are out of hand. The Austrian Ministry of Health is of the opinion that patients need to be protected, but according to the patients organisation Arge Canna, this measure will only harm patients’ interests. The CBD prohibition in Austria became effective at the end of 2018, just before the recent recommendation from the World Health Council (WHO) to deregulate CBD. CBD, together with THC, is one of the most important active components of cannabis, whereby THC being known particularly for its psychoactive effect. The WHO recently recognised the therapeutic benefits of cannabis, and no longer considers the plant as dangerous, recently proposing to move cannabis from the strict schedule 4 to the more permissive schedule 1 in the Single Convention on Narcotic Drugs from 1961. According to the Austrian patient organisation Arge Canna, patients do not benefit from a prohibition on its own. There has to be more regulation and improved quality control of CBD products. 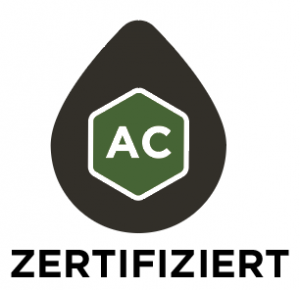 Due to the lack of quality control, Arge Canna, a non-profit NGO, has been testing various Austrian CBD products on their content substances since 2016, through an independent laboratory. On request of the manufacturer they check every product for the presence of cannabinoids, the active ingredients of cannabis (THC content must not exceed 0.3%), as well as whether the product contains heavy metals, pesticides, micro-organisms (fungi), residual solvents or PAHs (polycyclic aromatic hydrocarbons). Hübner: “Products that pass the test receive a mark of approval from us and the product gets the predicate safe. We do not publish bad results, they just do not get our seal of approval and they will not be listed on our website.” There are now five companies that have their products tested and approved. Arge Canna mainly certifies CBD oil. This year cannabis flos, sprays and crystals have been added. Despite the CBD prohibition, you don’t hear many complaints from Austrian patients. It is standard practice for the Austrian government to reimburse medicinal cannabis, and that is something the average European patient can only dream of. However, there are downsides. 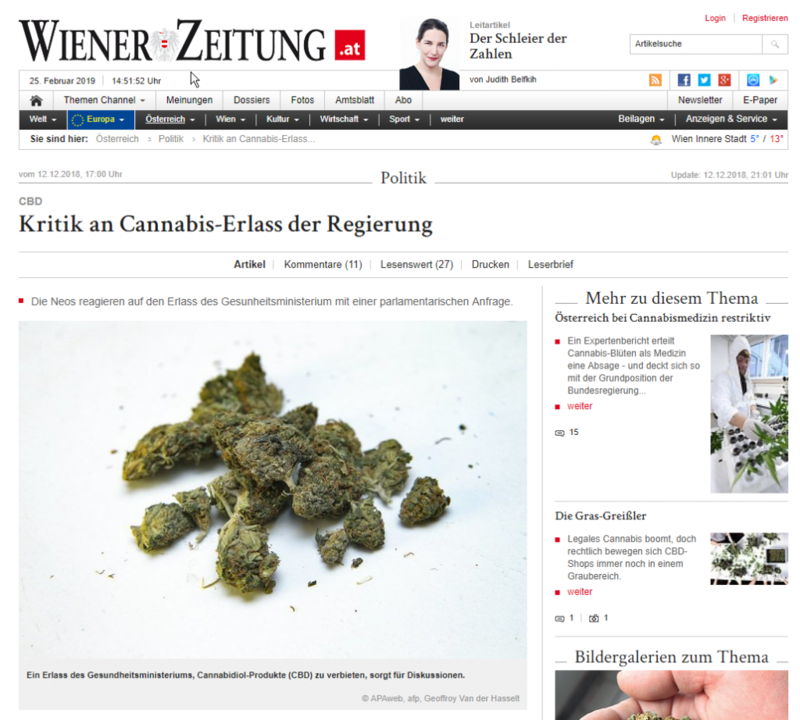 Cannabis flos containing THC, the dried cannabis flowers, are not permitted in Austria, a doctor may only prescribe THC in the form of dronabinol concentrate where the THC is processed by the chemist into a tablet, oil or cream. This is just one active component. For patients who benefit from THC and CBD, this is far from ideal. It is presumed that those patients now collect their uncontrolled CBD product from the aforementioned aroma shops. Briefly it seemed like the law might be amended at the end of 2018 and that dried cannabis flowers with THC could be used as an alternative medication. However, following expert advice from the Austrian Health Council (Oberster Sanitätsrat) and the association of chemists and doctors (Apothekerkammer and Ärztekammer) the status quo remains. There is insufficient scientific evidence that cannabis flos works better than the dronabinol that is already available. Furthermore, with cannabis-based drugs it is possible to produce exact doses, whilst it is believed that this cannot be achieved with flos. In Austria, Sativex® has been the only other approved cannabis-based medication since 2012, not including synthetic cannabinoids like Nabilone. Despite the prohibition of CBD, the Austrian government makes an exception for a small group of patients. Children with a rare type of epilepsy may be administered CBD to suppress seizures and they are reimbursed. Mr Hübner said “This CBD-containing juice is only prepared by the pharmacist, is of pharmaceutical quality, and cannot be compared to the CBD that is available for sale in the aroma shops.” However, adult epilepsy patients miss the boat, as do people who suffer from Parkinson’s disease because they are not eligible for reimbursement. Patient organisation Arge Canna, which is now active in four Austrian cities, provides the answer in those cases. “Our network of patients and our knowledge of scientific studies is enormous. We help until reimbursement has been organised”, continued Mr Hübner. As the global cannabis market continues to grow so does the number of conferences about this subject. Bedrocan has selected the following conferences to speak. 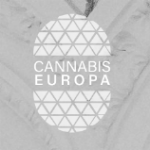 Our message during these events will always be our focus on the company’s core values: separation of markets (medical vs recreational), global harmonisation of laws and regulations to ease patient access, and allow for easier transfer of products around the world. The World Economic Forum in Davos starts today and for the first time (medicinal) cannabis is part of the discussions being held there. Our founder and CEO Tjalling Erkelens will join these discussions for the rest of this week. His message will focus on the company’s core values: separation of markets (medical vs recreational) and global harmonisation of laws and regulations in order ease patient access and allow for easier transfer of products around the world. 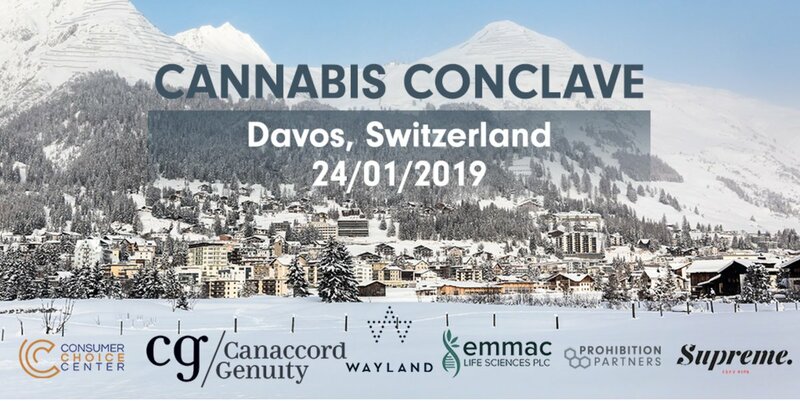 This Thursday Tjalling Erkelens will also attend the Cannabis Conclave in Davos to discuss the global cannabis movement with other cannabis leaders and investors. A recent study shows that Bedrocan’s standardised pharmaceutical-grade cannabis with a high tetrahydrocannabinol (THC) content is effective in treating pain in fibromyalgia. However, cannabis with only cannabidiol (CBD) did not show relief at all. The study was conducted by the Dutch Leiden University Medical Centre (LUMC) in cooperation with Bedrocan International BV, world’s most experienced producer of legal medicinal cannabis. Principal Investigator, Professor Albert Dahan, head of the Anaesthesia & Pain Research Unit of the Department of Anaesthesiology at the LUMC, believes this is the first real scientific proof that at least two of Bedrocan’s products are effective for fibromyalgia. Fibromyalgia is a disorder characterised by widespread musculoskeletal pain accompanied by fatigue, sleep, memory and mood issues. A total of twenty patients participated in the study. They were treated at four distinct moments. Administration of three different cannabis products (Bedrocan®, Bediol®, Bedrolite®) and placebo (cannabis without the main active substances THC and CBD) was done by means of a vaporizer. All subjects were exposed to externally inflicted pain by applying increasing pressure. With the Bedrocan and Bediol products, patients experienced significantly less pressure pain compared to the placebo. Furthermore, many respondents noted they experienced relief in their spontaneous pain after using Bediol. Both Bedrocan and the Principal Investigator believe that investigation is now required to determine whether the same results on pain relief can be reproduced in a long-term study with fibromyalgia patients. “The next study takes place with patients at home. I want to investigate whether THC can be used as an opiate-saving drug. Many people use, and abuse opiates, such as oxycodone. We think that you do not have to prescribe much oxycodone if you also allow patients to use THC,” said Professor Dahan. A decade ago, under the previous Labour Government, New Zealand introduced policy to permit eligible patients to access cannabis-based medicines. This was accompanied by clinical guidance for a range of indications, reviewed by New Zealand’s medicines regulator, Medsafe, and specialists in palliative care, general practice, oncology and pain. At that time, Sativex™ was considered most appropriate, as it was high quality and offered standardised dosing. However, cost was a big barrier to patient access. Ten years on, under a new Labour Government, New Zealand is intent on making great strides to increase access. The emphasis is terminally ill patients and seriously ill patients needing palliative relief where the focus of treatment is on improving quality of life. Like before, a medicines framework will remain in place. This means access to pharmaceutical-quality medicines, via a doctor’s prescription and pharmacy dispensing. The Misuse of Drugs (Medicinal Cannabis) Amendment Bill will require new regulations, licensing rules and quality standards. Now being drafted, these will establish the foundation of a regulated market. The legislation will also permit products to be manufactured in New Zealand for the global marketplace. The groundswell support for the Bill, in Parliament and across society, was focussed on increasing access for those in need. That includes making medicines more affordable. Like in other jurisdictions, the wider access to pharmaceutical-quality medicines requires a well-considered health professional education curriculum. A robust pharmacovigilance programme to enhance the safety of these medicines is also vital. The Bill passed its third reading in Parliament and now requires Royal Assent to become part of New Zealand legislation. Regulations, licensing rules and quality standards will be concluded in 2019. Like most other European countries, France is considering a programme for medicinal cannabis, to ensure patients have legal access to a product that can improve their quality of life. On Thursday the 13th of December, the temporary scientific Committee CSST submitted its advice and findings to the ANSM, the French National Agency for Medicines and Health Products Safety. The preliminary conclusion is that ‘It would be “appropriate to authorise the use of therapeutic cannabis […] in certain clinical situations and in cases where [existing] therapies provide insufficient relief or are not well tolerated”. According to the French media, that means the temporary Committee gives the ‘green light’ for medicinal cannabis in France, even though this Comité Scientifique Spécialisé Temporaire (CSST) – which started under the Chairmanship of the psychiatrist Dr Nicolas Authier on the 10th of September 2018 – does impose some prerequisites. Next, the Agence Nationale de Sécurité du Médicament et des produits de santé (ANSM) will take a decision about the Committee’s advice. This decision is expected shortly. 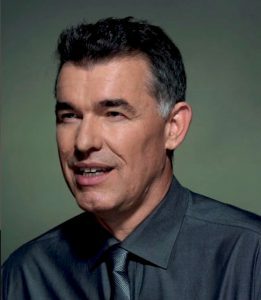 Igna Huyghe (1960) is a pharmacist and co-initiator of the Cannabis Patient Care organisation. 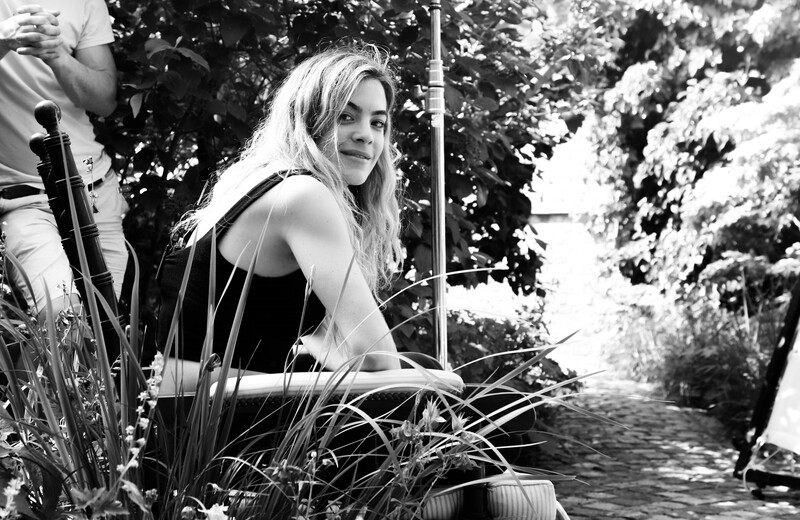 Together with nurse Emelie Vanhoenacker, she provides information about medicinal cannabis to patients and healthcare professionals in Belgium and France. France has an estimated 300,000 to 1 million patients that could benefit from medicinal cannabis. The country has permitted use of two products based on cannabinoids, but one is only prescribed to patients with neuropathic pain in extremely specific conditions (Marinol®), whilst the other (Sativex®) is still not available in pharmacies due to discussions about the price. It is a well-known fact that a large number of French patients has discovered cannabis as medication, but need to enter the illegal circuit and are not guaranteed a consistent or safe product. There is an urgent need to regulate cannabis for medicinal use in France, and the Minister for Public Health Agnès Buzyn has said that she will not exclude cannabis as a legal medicinal product for patients. The Committee also recommends that patients are monitored to ensure that the effectiveness and any side effects of medicinal cannabis are charted. There will be special attention for the assessment of the benefits of treatment and any risk of addiction. The Committee also aims to promote scientific and other research. When the ANSM adopts the Committee’s recommendations, the second phase of the research starts. That will determine the most appropriate administration method, how the distribution of medicinal cannabis can be organised and whether there can be any reimbursement. The final advice from the temporary Committee is expected in September 2019 and it would seem logical that the French programme for medicinal cannabis will not start before 2020. The Dutch Transvaal Apotheek is a pharmacy with a history. The library contains books from 1889 and according to the website one of the clients has been coming here for more than seventy years. 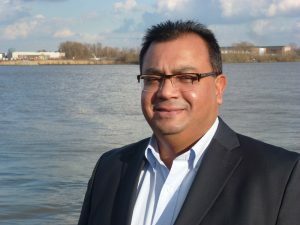 Under the leadership of Paul Lebbink and Arwin Ramcharan, in 2015 they made medicinal cannabis oil available in the Netherlands for the first time. With this, the pharmacy from The Hague made headlines both in the Netherlands and abroad, much to the surprise of the Transvaal Apotheek staff. “The impact was larger than expected”, Arwin Ramcharan, chemist and QA at Transvaal Apotheek, remembers. 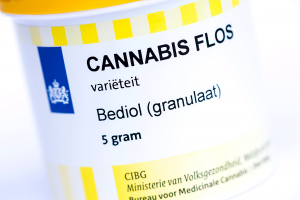 Since 2003 Dutch patients have access to medicinal cannabis flos. The cannabis programme is run by the Office for Medicinal Cannabis (OMC) on behalf of the Dutch government. Ramcharan about this time: “As pharmaceutical chemist we were already well acquainted with the dried product and many of the users. But once we had refined the production process and the oil was released onto the market, the demand proved to be much greater than expected.” The pharmacy currently serves patients throughout the Netherlands and sometimes even abroad. The oil, which is available in five different varieties, is used for a multitude of conditions, with pain, epilepsy, glaucoma, migraines, nausea, infections, restlessness and insomnia, spasms and decreased appetite being the most common. The Dutch pharmacist made history again in 2017. The Transvaal Apotheek started to fight big pharma with their own cost-effective alternative to exorbitantly priced medication for cystic fibrosis. Medicinal use of cannabis has been legal in Australia since 2016. There are currently an estimated one thousand patients who have been granted permission. That is a very small number in a population of 24 million. Indeed, it is assumed that one hundred thousand patients still obtain their medicine from illegal sources. How is that possible? We talked about this with Professor Iain McGregor, Academic Director of the Lambert Initiative for Cannabinoid Therapeutics, an Australian research institute within the University of Sydney. Since its establishment in 2015, McGregor and his team have been researching the effects of medicinal cannabis, among other things. This year they published the results of two surveys from both physicians and patients. This was the first time both target groups were surveyed about the medicinal use of cannabis. And it showed hidden populations. The same research shows that Australian patients do not want it to be this way. “The same as with other medications, patients want a standardised product of pharmaceutical quality that is available at the chemist. This wish does not comply with the current programme”, says McGregor. Despite the medicinal cannabis programme, parents in Australia are still treating their children who suffer from epilepsy with cannabis products of unknown composition. This often includes severely sick children for whom regular medication barely works or does not work at all. 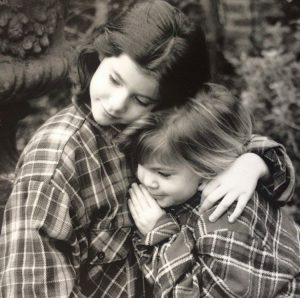 This is a big concern for the Lambert Initiative because the organisation is closely involved with families with children who suffer from epilepsy. The establishment of the research institute was made possible by a large donation from the prosperous Lambert family. 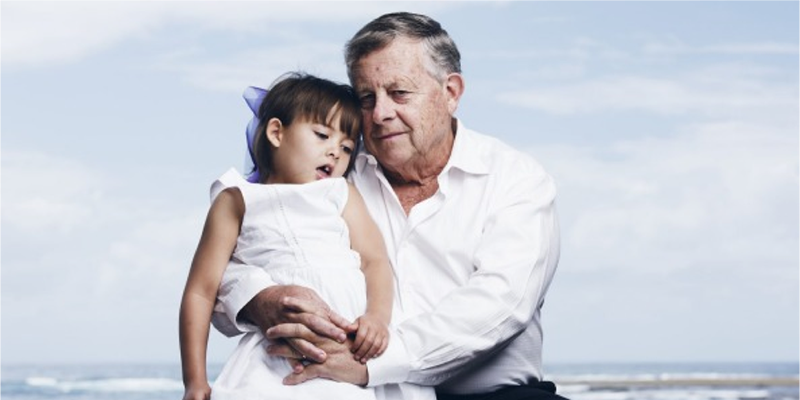 Their grandchild Katelyn suffers from Dravet Syndrome, a rare and severe form of epilepsy affecting young children. Her family fought for years to legalise medicinal cannabis in Australia after discovering that cannabis oil reduced their daughter’s epileptic seizures. Katelyn is currently being treated successfully with approved medicinal cannabis oil. But at one time Katelyn’s father was standing in front of a judge himself because he grew cannabis illegally to treat his daughter. Another obstacle is the complex application procedure for the Australian medicinal cannabis programme. The physician must first submit an application to the Federal Department of Health. This application must clearly show that alternative treatments are not effective and that an extensive literary study has been carried out. Nicotine gum is probably the most well-known medicinal application. But chewing gum containing medicinal cannabis is something new. So new that the first batch has not even been made yet. AXIM Biotechnologies developed the product and is waiting to start the first clinical trials in the Netherlands, Israel and Canada. Earlier this month they uncorked the champagne bottles at both the American head office in New York and in the Netherlands. The company that is listed on the American stock market (AXIM U.S.: OTC) received a GMP certificate from the Dutch government to produce samples for clinical trials. This test medication may now be used worldwide as a research resource. This is a huge milestone for the company that has been trying to bring medicinal cannabis gum onto the market since 2007. 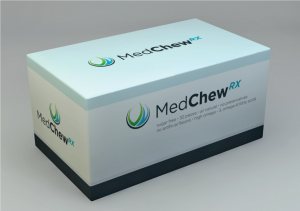 MedChew Rx, a type of gum produced by AXIM looks very promising. It contains 5 milligrams of CBD – a non-psychoactive component of cannabis – and 5 milligrams of THC – a psychoactive cannabinoid. The cannabis for this chewing gum is supplied by Bedrocan. The medication was developed to treat pain and spasms in Multiple Sclerosis (MS) patients. The Dutch VU University Medical Center in Amsterdam will carry out the clinical trials. Motion sickness, pain, quitting smoking, dental decay and middle ear infections are all well-known or lesser-known medical conditions for which medicinal chewing gum is available. AXIM consciously chose chewing gum as a method of administration. AXIM Biotechnologies will be carrying out more clinical research next year. QPS, a medication research company based in Groningen (Netherlands), will conduct a study on chewing gum with synthetic dronabinol (THC). This gum should, among other things, prevent nausea and vomiting (chemotherapy) or stimulate the appetite (anorexia, AIDS). The University of British Columbia in Canada will carry out clinical trials for treating drug-related psychoses with cannabis chewing gum. A double-blind, randomised, phase 2 study with 30 RLS patients will start in Israel next year. AXIM Biotechnologies developed a chewing gum containing CBD to help patients suffering from Restless Leg Syndrome (RLS). RLS patients suffer from muscle spasms in their lower legs, knees and sometimes arms during the night. This leads to sleep disorders and the condition is also often accompanied by excruciating pain. The gum contains 1,000 milligrams of CBD and gabapentin, an anticonvulsant. The goal is to have the gum officially registered as medication. This way a physician can prescribe it and determine the dose. But clinical trials must first show that the product works. Changoer: ”Preliminary studies paint a positive picture of the implementation of CBD and THC. Research will provide us with more insight into dosage. The approach is that the patient will calmly chew on one piece of gum for about twenty minutes. The absorption of the active chemicals will then take place via the mucous membranes in the cheek.” Changoer expects it will take at least another three years before the chewing gum will be available on the market. 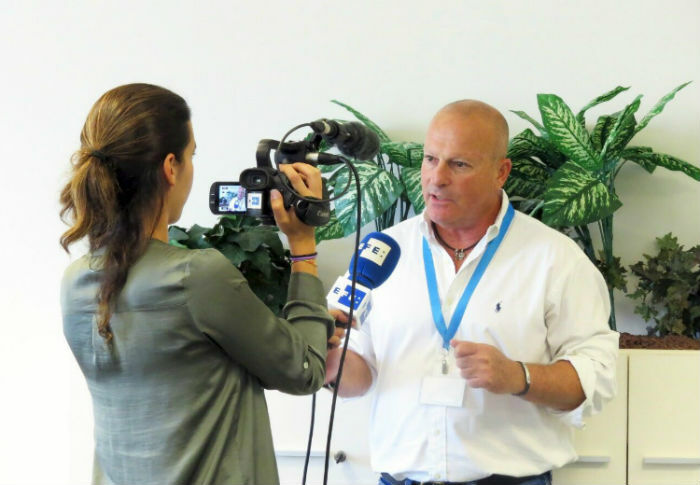 The Israeli programme – recorded as ‘The Green Book’ – covers medicalisation, the standardisation of cannabis products, the training of doctors and pharmacists and the organisation of agro-technical and medical research and development. That provides for a clear chain – from product development to the patient. It goes without saying that growers are selected carefully and that requirements are imposed on the distribution side (prescribers, pharmacists). The National Center for Cannabis, part of the Ministry of Agriculture and the Ministry of Health, maintains tight control. Israeli patients need a medical cannabis license, based on a specialist’s recommendation. This health care professional needs to be specialised in treating the condition for which the cannabis is recommended. This recommendation is examined by the MCA, based on relevant criteria and indications. Upon receiving the approval for a medical cannabis permit for the patient, the permit will be issued and transferred to the supplier. The supplier will contact the patient to coordinate instructions and supply to him or her. It took him seven years and tens of millions of dollars to transform a raw plant into a mainstream medical drug. Perry Davidson is the creator of the Syqe Inhaler – a new technology that allows doctors and patients to precisely dose pharmaceutical quality ‘cannabis flos’ by inhalation. After all these years of hard work, according to Davidson ‘it is still something worthwhile waking up each morning for’. You founded Syqe Medical seven years ago and you are running the business. How does a usual business day look like? What makes the Syqe Inhaler different from all other ‘vaporizers’ on the market? 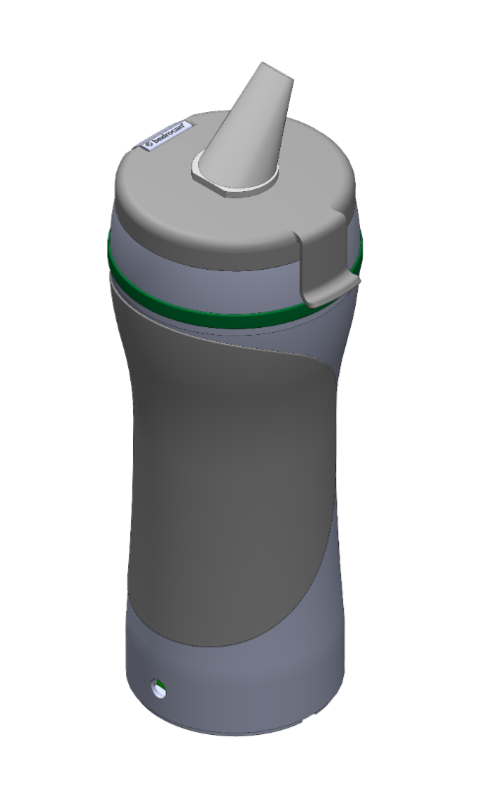 ‘For the cannabis industry, Syqe is the first and only metered dose cannabis inhaler meeting pharmaceutical standards, a strong emphasis on meeting pharmaceutical level drug delivery precision. How did you manage to put the whole cannabis plant into a small cartridge that’s is not larger than a biscuit? Since 2014 Syqe has completed three clinical trials. The first trial was already published – a pharmacokinetic study that demonstrated the technology indeed meets pharmaceutical standards for drug delivery via inhalation. Subsequent trials focused on safety and efficacy for dosing in microgram levels. Outcomes were very positive, and Syqe expects to publish the rest of the clinical data soon. 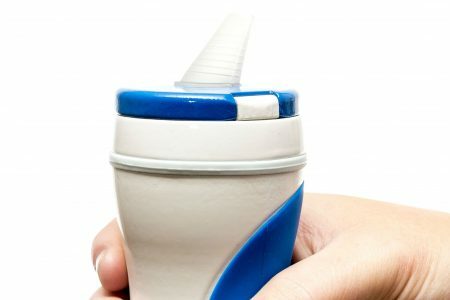 The inhaler has been in use in a hospital setting since 2015, and is expected to be available to patients in Israel later this year, distributed by Teva Pharmaceuticals. But Syqe also has prepared its infrastructures for the international markets, as they has set their sights on Europe, Canada and the United States. You are using Bedrocan’s standardised raw plant material for the micro dosed cartridges. Why have you chosen for Bedrocan as a supplier? Do you think this device can contribute to a better acceptance of cannabis as a medicine? Bedrocan recently funded the publication of a booklet explaining the effects of medicinal cannabis in clear language. 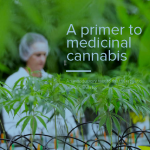 This booklet covers key information on the cannabis plant, cannabinoids, the biological pathway for their action, and the quality requirements of modern medicines. It also takes a forward step to consider the perspectives of experienced health professionals, and insights from patients. The booklet is intended as an introductory text to the therapeutic use of cannabis. For now it is an English publication intended for the health sector, policymakers, and patient groups. 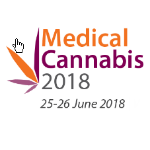 The booklets official release was at the International Cannabinoid Research Society 2018 conference; this coincided with its New Zealand release, by the author, at Medsafe, the Ministry of Health. See link to download a copy. Cannabis has been on the worldwide list of banned substances since 1961 and according to the World Health Organization (WHO) has hardly any medical value. This view could very well be coming to an end. Last week the ECDD, a special WHO drug committee, met for the first time to discuss exclusively the pros and cons of cannabis for health. Various parties from the field – doctors, patients and experts – were invited to the hearing to give their advice to the committee. The Expert Committee on Drug Dependence (ECDD) is a WHO committee and is composed of independent experts in the field of drugs and medicines. The committee is convened by the WHO about once a year to assess the impact of psychoactive substances on public health and to make recommendations to the international community. This year the fortieth meeting was completely dominated by cannabis. This being the first time after the foundation of the WHO in 1948. The Dutch Harm Hids was one of the individual speakers. “The meeting was very well set up. You would expect everyone to be against cannabis, but that was certainly not the case.“ Hids has a son with Crohn’s disease, a chronic inflammation of the intestine. The Commission on Narcotic Drugs is a UN body that determines which drugs fall under international control. The committee comes to these decisions based on recommendations from the World Health Organization (WHO). The 1961 treaty states that cannabis and cannabis preparations are out of date and there is no reason for their medical use. That treaty is what the proponents of medicinal cannabis use would like to see adapted. The final report and recommendations from the meeting will be available on the ECDD website by the end of July 2018. After approval from the WHO the recommendations will then be put to a vote with the 53 member states of the Commission on Narcotic Drugs. This body must eventually reach agreement on whether the current UN treaties may be amended. 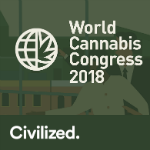 There are more and more cannabis-related conferences worldwide. Bedrocan chooses only meetings about the medicinal use of cannabis or where we can tell our story about GMP-quality medicinal cannabis. The ICRS symposiums is close to our heart. This year it will be held in Leiden, the Netherlands (30 June to 5 July). 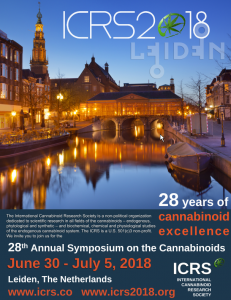 ICRS, the peak International Cannabinoid Research Society, is an independent organisation promoting scientific research in cannabinoids, the most important components of cannabis. 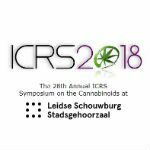 ICRS provides impartial information about cannabis and cannabinoids. It is also provides a forum for research discourse, and a platform to share scientific the latest studies. This year the global scientific community meet in Leiden where Bedrocan is one of the principal sponsors. According to Dr Hřib there are three types of patients in his hospital. The first already has some good experience with cannabis, and wants to the use it under his medical supervision. The second patient type is already taking a number of analgesics such as non-steroidals, paracetamol, anti-rheumatics and opioids. They only receive partial response. With the third type, current treatment using classical medications hardly work and cannabis is their last hope. He prescribes fully standardised cannabis flos, the whole dried flower, as it is the only pharmaceutical-quality product available in the Czech Republic. His patients take their medicine either prepared by the hospital pharmacy, as capsules containing a single dose of cannabis flos and are taken by mouth, or are dispensed cannabis flos for inhalation by vaporization. Just recently the Sint Anna Hospital has set up a special area where pain and cancer patients learn how to operate a vaporizer. Why do you prescribe medicinal cannabis to patients? Is there a personal motivation? I prescribe medicinal cannabis to patients for one simple reason: because it is helping them. This is driven by my professional curiosity and the intention to provide the best outcomes for my patients. An overwhelming majority of patients are actively interested in possibility using it as a treatment for pain. However, there will always be a few patients with strong opinions against its use. What are the key benefits of medicinal cannabis? good analgesic effect, it significantly improves sleep and its use is accompanied by a reduction in anxiety. In this way, the so called vicious circle of chronic pain can be broken in several places. What are the risks of prescribing medicinal cannabis? The very individual character of dosing poses a disadvantage for many physicians. In Czech Republic we prescribe cannabis as an individually prepared medical product. Therefore you need a collaborating pharmacist who understands what is needed. I am lucky that I can rely on the great support of our hospital pharmacist Monika Pecháčková. As a prescribing doctor I would like to point out that my work with medicinal cannabis would not be possible without the support and tolerance of my faculty superiors, my family, colleagues and co-workers at the workplace and in the hospital. There is great stigma around medicinal use of cannabis and this is also present in the Czech medical community. It is still tightly regulated, it is risky because there are still unknowns. As opposed to other work places, the hospital I work at has been openly supporting me from the very beginning. How do you decide the best dose for individual patients? Mostly, this being specific for the Czech Republic, I use oral administration through capsules. Mainly for financial reasons as patients appreciate that this method does not significantly increase the price of already expensive plant material. The body is offered the whole herb, and we let the human organism to choose what to absorb from it. At the moment, I am using two dosing schemes for capsules. First one is according to my own empirical experience. We start at a dose of 0.125 gram of cannabis decarboxylated by heat, presented in a gelatine capsule, per night (which makes up to 18 – 25 mg THC depending on variety). If the patient experiences difficulties, the patient can call me immediately, at any time of the day. Within 7 days I want to hear from the patient, also if they only benefit from the treatment. When there are significant side effects, usually it is dizziness, we reduce the dose or we try to encourage the patient to keep trying. The dose is increased at the earliest after one month from the beginning of the therapy. I also started using the second scheme according to neurologist Ethan Russo. Starting with a dose of 2.5 mg THC per night. After about 5 days we gradually increase the dose by 2.5 mg THC. When vaporizing, I teach the patient about gradual titration. In the near future, I would like to combine oral capsule administration with vaporization. Now that we have opened our user centre, we will try to introduce the gradual titration directly in the hospital, or during hospitalisation. Do you encounter diversion for misuse or the abuse of medicinal cannabis? So far, I was lucky to have disciplined patients, and I did not have to deal with this problem with regards to medicinal cannabis. How do you identify this issue in your practice? Given the fact that I have been prescribing highly addictive opioids to my patients for over 18 years, I have quite a lot of experience with diversion for misuse or the abuse. Fortunately, with patients experiencing chronic pain, this problem is minimal. Mostly, patients with this problem identify themselves. For example, they often “lose” medications, are not disciplined in treatment or check-ups, and so on. I believe that the best way to prevent and deal with abuse is to have an individual and personal approach to the patient. If a doctor wants to know more about prescribing medicinal cannabis, what would be a good information source? I recommend two basic resources to doctors. The publication An Introduction to Medicinal Cannabis by Arno Hazekamp. It is also translated in Czech and can be downloaded from Bedrocan’s Czech website. The retrospective analysis by the authors Zábranský, Hanuš, Rokyta: “An overview of the current knowledge about the healing effects of cannabis and its products and its perspectives“, published in the Czech language in the Bulletin of the Association of Practical Doctors 2016 and 2017. IPVZ – the Institute of Post Gradual Education in Healthcare. They are holding already a third training seminar on cannabis. ICCI – International Cannabis and Cannabinoids Institute based in the Czech capital Prague. Our hospital is also now offering the opportunity to organize seminars in cooperation with ICCI. As the doctor’s experience grows, they can much more rely on their own experience, and only use the internet occasionally. Do you have any advice for doctors starting out prescribing? Do not be afraid of medicinal cannabis and try it in your therapeutic practice. What would you like to say to doctors that are reluctant to prescribe cannabis because there is not enough clinical evidence that medicinal cannabis actually works? I will only repeat myself. Do not be afraid about cannabis for medicinal use. It will surprise you pleasantly. On the contrary, you will be able to contribute to the creation of scientific evidence. And I mean this as criticism towards the almost exclusively strict use of evidence-based medicine, which is well described, and the tendency to adhere to prescribing only this, rather than being open to new methods and treatments. Trying out new treatments and creating your own opinion… only then you will discover yourself what the real art of medicine is. The average daily dosage for prescribed medicinal cannabis among Dutch patients has remained remarkably stable over the past years. The average daily dose has risen slightly from 0.64 to 0.73 gram of cannabis per day during two study periods. This can be concluded from a recent study carried out by researcher Bas de Hoop. We asked him why is this important? Where does the data for this study come from? The Dutch Foundation for Pharmaceutical Statistics (SFK). SFK is an independent organisation who collects 90% of all prescription data from Dutch pharmacies. This includes the prescriptions for medicinal cannabis, but excludes pharmacies that are located in care homes or hospitals. All manner of information can be collected from these prescription details. For example, the issue date, the amount of cannabis dispensed, the specialty of the prescribing doctor, and importantly the age and gender of the patient. On the basis of this raw data we produced calculations that provide an approximation, such as patients’ average daily dose and the total duration of use. Is there an increase in the number of users in the Netherlands? Certainly, you can observe a gigantic increase in users between the study periods 2003-2010 and 2011-2016. During the first eight years we identified 5,601 people. Six years later we identified 10,826. That is only for prescriptions of cannabis flos. 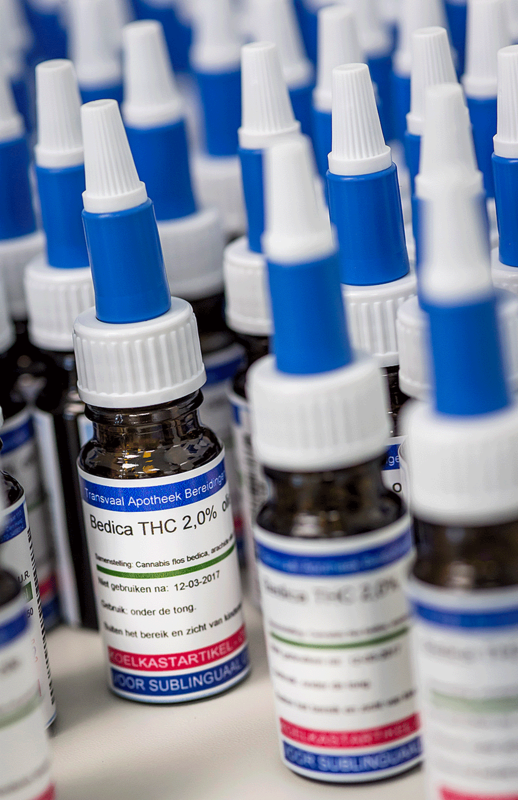 In 2015, cannabis oil became available as a dosage form. In the year after Transvaal Apotheek in The Hague introduced cannabis oil, there are now 6.720 patient prescribed the oral dose form. We also calculated how many patients there were in relation to the total Dutch population. Those figures are spectacular. In 2003, 6.4 patients per 100,000 inhabitants used a medicinal cannabis product. By 2010,this had moved up to 6.9, which is not exactly a gigantic leap in use. However, by 2016 we note that 24.6 patients per 100,000 inhabitants are prescribed medicinal cannabis, either as cannabis flos or oil. The introduction of cannabis oil at the end of 2015 had a significant impact on the figures? Dutch patients have been able to obtain medicinal cannabis on prescription from their GP for 15 years. The medicinal cannabis programme is supervised by the Dutch Ministry of Health’s Office for Medicinal Cannabis (OMC) . A programme which supplies pharmaceutical-quality medicinal cannabis. Since the start of the programme in 2003, medicinal cannabis has been prescribed a total of 170,000 times to more than 15,000 patients. The availability produced an enormous increase. In 2016 alone, the number of patients prescribed oil was much higher than for cannabis flos. Unfortunately, cannabis oil was introduced too recently to provide reliable data on the average daily use or other interesting aspects. However, those data demonstrate that patients prescribed oil were often older and more often female compared to patients who prescribed cannabis flos. What do the figures say about the age structure and gender distribution of the average patient? The largest group of patients is over 40 years of age. Eighty percent of the flos users are older than forty years, and this number is 88 percent for the patients who are prescribed cannabis oil. About the same number of men and women are prescribed cannabis flos. In relation to oil, women have a slight majority (60%). Most prescriptions are among patients aged between 41 and 60 years old (42.9%), followed by the category of 61-80 year olds (30.9%). So they are an older group, on average. In this study we compared the current data with previously published material. The age distribution of patients remained virtually the same for the two study periods. However, there was a slight shift in the gender split – the percentage of female patients fell from 57.1% to 51.4%. Why should we care about these figures? We have been gathering data about medicinal cannabis use in the Netherlands for more than 15 years. We can learn a lot about actual usage. As far as I know, there is nowhere else in the world where these figures are collected centrally. Not even in Canada, which was the first country in the world to start with a medicinal cannabis programme. In other words, these figures are fairly unique and, particularly when it concerns a daily dose of 0.7 gram. The Netherlands has a prescriber-pharmacy model, where guidance for using medicinal cannabis is actively provided. This is important because not every patient has the same course of treatment meaning a doctor and patient and pharmacy work together to find the correct dose and improve patient safety. In the Netherlands, medicinal cannabis is only available on prescription and can be issued by any pharmacy in the country. Currently, only Bedrocan products are available. Five different products of pharmaceutical quality and standardised composition are available. This data provides a framework for a doctor to take into account when considering prescribing for their patient. Can you say something about the duration of use? The figures demonstrate that as the patient gets older, the number of days they use medicinal cannabis reduces. While it is possible to calculate an average duration, but it is difficult to interpret, given the average duration of use is likely to be affected by deaths in the highest age category. The daily dose in the Netherlands has been around 0.7 gram for more than 10 years. What does that tell us? This shows clearly that there is no increase in the consumption of medicinal cannabis in the Netherlands. Policymakers may have fears that the introduction of medicinal cannabis will lead to an increased patient tolerance, physical addiction and dependency. In the Netherlands, policymakers fears are laid to rest with these figures; over a period of 10 years we cannot find an indication for unwarranted increased in medicinal cannabis use. Can you say something about what conditions Bedrocan products are prescribed? Unfortunately I cannot provide an accurate answer to this question. The reason is that we do not have the right information. The disease or complaint of the patient is not stated on the prescription, it just says who prescribed it. More than half of the prescribing doctors are GPs (59.2%), followed by specialists (27.1%). The data refer to specialisations, but when it says surgery, cardiology, or internal medicine you don’t know enough to identify the complaint. Bedrocan has donated ten medical vaporizers to two Czech hospitals. They concern the Volcano Medic®, and they are used in the Sint Anna University Hospital and the Masaryk Cancer Institute in the Czech city of Brno. Under the guidance of trained personnel, pain and cancer patients learn how to operate and dose the device. The Sint Anna Hospital has set up a special area for this purpose, which was put into use officially on 17 April. The Czech Republic has had a medical cannabis programme for many years. However, as in the Netherlands, cannabis and expensive vaporizers are no longer reimbursed by health insurance policies, causing a major problem for patients with low incomes in particular. Bedrocan hopes that by donating the vaporizers, patients are able to familiarize themselves with vaporization as a method of administration before they purchase the vaporizers. Vaporizing is generally regarded as the most efficient dosage form because the active substances are absorbed quickly into the body. It is also safer than smoking because there is no release of toxic substances, such as carbon monoxide, ammonia or polycyclic aromatic hydrocarbons (PAHs). 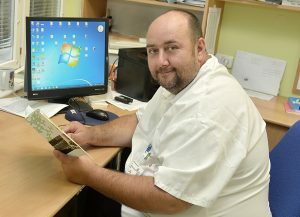 Bedrocan has been working with one of the doctors of the St. Anna hospital, doctor Radovan Hřib, for many years. 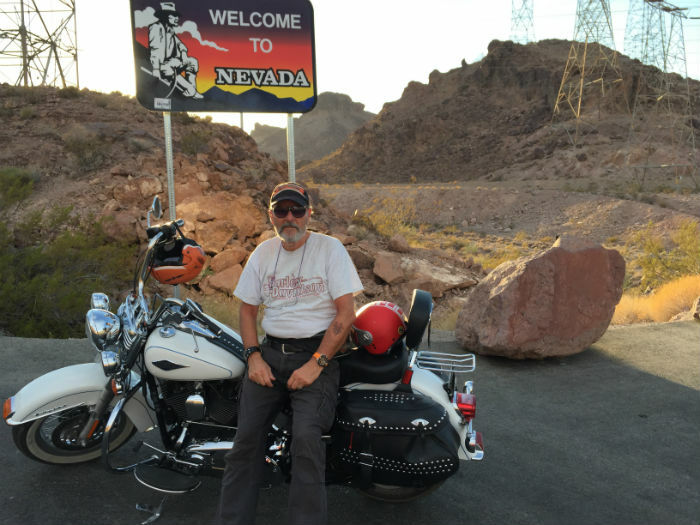 As a pain specialist, he prescribes medicinal cannabis for patients with chronic or acute pain. The special user space was his idea. 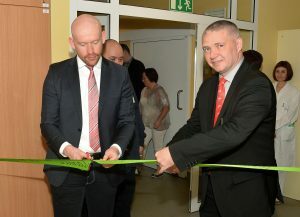 In addition to his work in the hospital, Dr Hřib is associated with the Czech patient organization KOPAC. 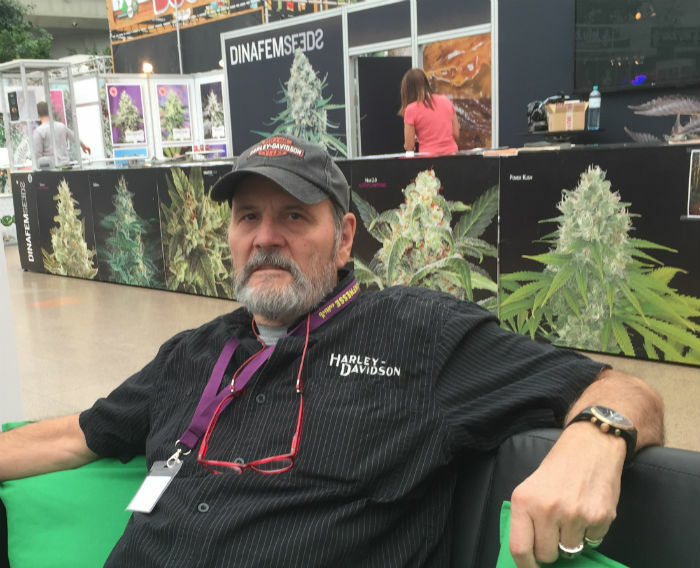 In the Czech Republic he is regarded as the medical expert in the field of medicinal cannabis. He cooperates with government bodies to increase the availability of cannabis for medicinal use to the patients and to simplify administration for doctors. Recently the Dutch Transvaal Apotheek in The Hague started marketing cannabis cream alongside cannabis oil. This cream is a new dosage form for patients. It is based on the cannabis variety Bediol and is intended for treating skin conditions. Clinical Cannabis Care in Breukelen, which prepares oil from Bedrocan varieties, also has a cream available for various skin conditions. However, this Cannabinoid Cream is made on the basis of CBD crystals. Hospital staff or researchers are at low risk of exposure to patient’s exhaled cannabis vapour. An Australian study demonstrated staff who administer vaporized cannabinoid medication to patients in a clinical environment will not be exposed to THC. The active substance THC was not found in the blood after staff had been exposed to environmental vapours. A vaporizer medical device is considered to be a safe administration method for patients. There is no exposure to harmful substances like from smoking. The medicinal effects occur sooner with vaporizing than with other administration forms, because the cannabinoids are absorbed into the blood almost immediately after inhalation. It is also a user-friendly method for patients who struggle with swallowing. However, until recently there was little or no knowledge of whether the exhaled vapour would be harmful to other people in the same environment. In other words, could someone else be exposed to THC? The conclusion is therefore that vaporizing is safe for staff who administer medicinal cannabis to patients. However, a more comprehensive study of this subject is warranted. A study including more participants, room sizes, cannabis varieties, and types of vaporizers would be beneficial. Since 1st January 2018, cannabis for medicinal use is permitted in Denmark. How did the first weeks work out? If we are to believe the stories in the media, Denmark will be cultivating cannabis on a major scale next year. Doctors on the other hand are sceptical, because there is insufficient scientific evidence. Meanwhile, a public pain clinic is unable to meet demand and patients are on a one-year waiting list. Odense, the third largest city in Denmark, aims to become the European capital of cannabis cultivation. That was the heading of a newspaper article from early 2018 about the developments in what is known as the centre of Danish horticulture. At the end of last year, a local tomato grower and a hemp grower entered into cooperation with two major Canadian cannabis producers. 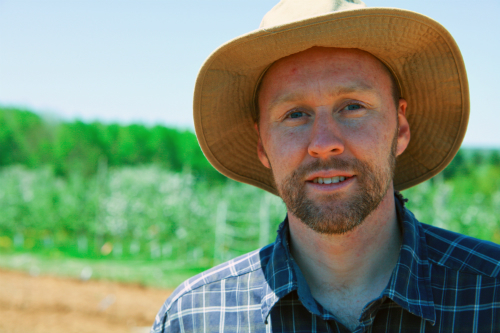 The Canadians bring money and knowledge, whilst the growers supply the greenhouses and the land. Peppers and orchids are being exchanged for ‘green gold’ and thousands of square metres of old greenhouses are transformed into high-tech businesses. In Denmark, Tina Horsted is the only doctor who specialises in prescribing medicinal cannabis. Two years ago, she started the public pain clinic Min Smerte. A loophole in the law enabled her to prescribe cannabis to patients, because cannabis was considered to be a natural medicine. “It had to be a hand-written prescription and the end product had to be compounded by a pharmacist”, commented Horsted. She found one pharmacist who was prepared to produce oil and capsules with cannabis components. He lawfully obtained the CBD-containing cannabis from Austria and the THC was added separately. At the moment, she treats 1,200 patients in her clinic who suffer from chronic pain, MS, RA and cancer. The change in legislation now enables her to prescribe Bedrocan products lawfully and everything is done electronically. In principle, a patient can take a valid prescription to any Danish pharmacy. At the moment, the Danish government has permitted two products – Bedrocan® and Bediol®, which are the most commonly prescribed cannabis products in the world. 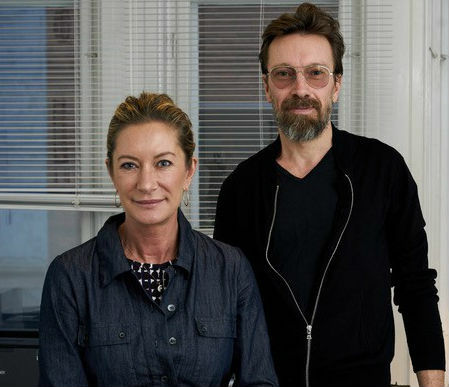 The couple Hosted and Thau are convinced of the beneficial effect of cannabis and in their evenings they travel around the country to convince Danish doctors and parliamentarians. A book about their experiences with prescribing medicinal cannabis, which will be published this year, is also intended to contribute to more knowledge transfer. Until then doctors will have to make do with the guidelines of the Danish medicines agency, which are available online. Information about the two Bedrocan products that have been included in the trial, comes from importer Uth. “We are bound by rules and may not provide information that encourages the sales of the cannabis product. The only thing that is permitted is a general leaflet with advice about administration and doses. It is in high demand.” As in the Netherlands, the recommendation is vaporizing with a vaporizer or drinking tea. Smoking is not recommended due to the ‘risk of lung and airways infections’ according to Danish guidelines. It is also recommended to start with a low dose. According to the Danish government, it is ultimately the doctor who decides on the dose and the correct usage method. Before the turn of the millennium ‘producing cannabis of pharmaceutical quality’ was a self-imposed task. Today it is nothing less than a tour de force for Bedrocan. Operating across the globe, Bedrocan is keeping abreast of the growing demand for the highest quality medicinal cannabis. The will to move cannabis to the level of a licensed medicine came from Tjalling Erkelens, founder and chairman/CEO of Bedrocan. From the start he envisaged a specialised cultivation process. He made a three-fold promise to the Dutch government (in 2003 – ed.) – to be patient inspired, science driven, and regulatory compliant. 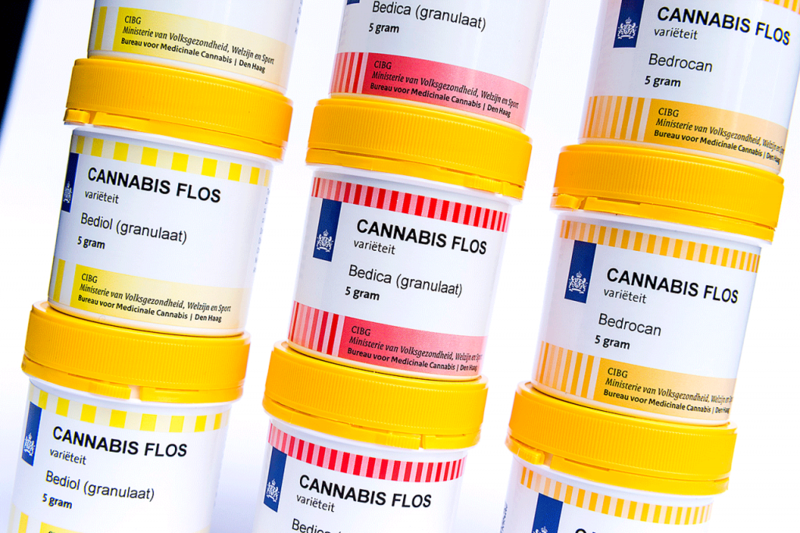 Since then, Bedrocan has been the sole supplier to the Dutch prescriber-pharmacy medicinal cannabis programme. In the area of compliance, Bedrocan has always taken a clear course. Erkelens continues: “From the start we have worked in accordance with applicable legislation and regulations. That is beyond dispute as far as we’re concerned. Outside the Netherlands, we only wish to focus on countries where the production and use of medicinal cannabis is enshrined in law. We continue to focus on the medicinal application of cannabis; intended for patients. Globally there is increasing interest in the medicinal application of cannabis. Not only as pharmaceutical cannabis flos for vaporization, but also as an active ingredient for cannabinoid therapeutic products. Bedrocan keeps pace with those developments. In 2016, we started with controlled cultivation, and that led to a larger, more streamlined organisation, where botany joins forces with pharmaceutical knowledge. In 2017, a new state of the art production site was commissioned. “This enables us to meet the growing demand in the Netherlands and abroad”, continues Erkelens, who realises that the interest in medicinal cannabis will increase across the world. It is all about cannabis that is meant for people who can’t function properly due to a certain condition. Often these people have a low level of resistance and that makes product safety crucial. 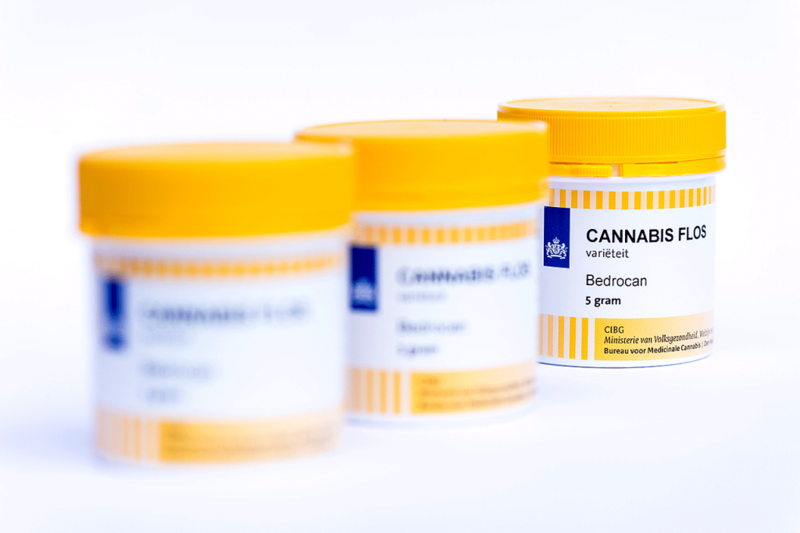 The cannabis that is supplied by the OMC to pharmacies in the Netherlands and exported to some countries, is produced by Bedrocan Nederland in accordance with strict protocols in a standardised, predictable process. That is the only way to standardise the product – the same amount of active substances per variety in each and every batch. This happens in a conditioned environment and – from cultivation to packaging – in accordance with the strict requirements of good manufacturing practice (GMP). The cannabis is free from contamination and is tested for this continuously, as for its standardisation. A group of some 20 Dutch patients is about to test the new Bedrocan vaporizer. Recently, a call was made in the Dutch media and through patient associations. More than 70 patients have said they would like to participate. The purpose of the study is to collect feedback about, among other things, the user-friendliness of this medical device. The vaporizer will be marketed under the name Bedromedic®. 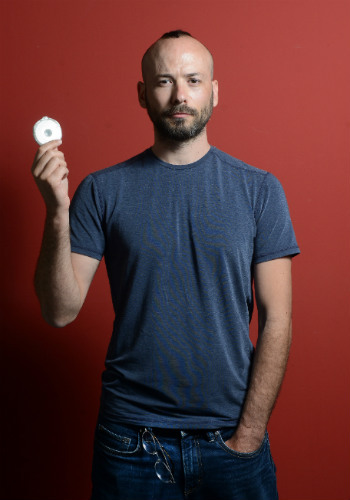 With a Bedromedic it is possible to inhale Bedrocan’s medicinal cannabis products safely. Heating cannabis releases vapours with active components. The vapour is inhaled by means of a mouthpiece and absorbed into the body via the lungs. It does not involve any tobacco. Temperatures are lower than during smoking, which prevents the release of harmful substances that are produced during burning. The study is carried out by Bedrocan’s own research department, which screens patients in advance. Participants must have medicinal cannabis from Bedrocan prescribed by a doctor. It is also important that a participant has at least six months of experience with using cannabis as medication. Experience with using vaporizers is not necessary. Participants have the Bedromedic® vaporizer sent to their home and can try it out in their home environment. Afterwards, they complete a comprehensive online questionnaire. Insights from experienced health professionals prescribing cannabinoids. There is a place for cannabinoids in the therapeutic toolbox. So how should they be prescribed? Discourse with doctors is a series of interviews with experienced doctors prescribing cannabinoids. This article highlights prescribing realities and strategies to improve patient safety, dispels some myths, and aims to encourage self-driven inquiry. 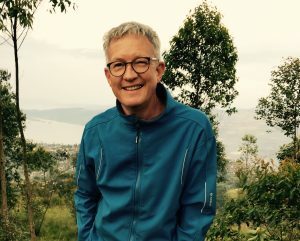 Trained as an anaesthesiologist in Germany, Dr Fleisch then undertook a fellowship in pain medicine (Portland, Oregon). He now practices anaesthesiology and pain therapy in Holland at the Leiden University Medical Centre. For the last decade, his close cooperation with the department of oncology means he regularly treats patients experiencing pain from cancer. My advice for clinicians who are starting to prescribe cannabinoids is to stick to specific indications where there is a solid foundation of evidence for its use, e.g. multiple sclerosis, patients experiencing central neuropathic pain, or cancer patients. This allows us to gain experience with the effects of this medication in a specific patient population. Recreational cannabis users are, in my opinion, not a good patient category to start with. They may put considerable pressure on the clinician to prescribe for dubious indications. How long have you prescribed cannabinoid therapeutics? I have prescribed cannabinoids, mainly for patients with cancer, since I started working here in Holland ten years ago. Can you describe a typical patient who you would prescribe products containing cannabinoids? advanced cancer experiencing loss of appetite and possibly nausea and vomiting. Often many other medications have been tried before. central neuropathic pain (after unsuccessful trials of more common medications). How is prescribing cannabinoid therapeutics different to prescribing other medicines? They are like any other medicine. However, many patients will have an opinion about cannabis [and cannabinoid products]. For some it has a rather negative connotation as being a substance of abuse. What are the key benefits of cannabinoids as a therapeutic product? there are analgesic effects on neuropathic pain syndromes and, depending on the medicine type, anti-emetic and appetite stimulating effects. This is especially important for cancer patients with pain. there are no known organ damaging side effects in the adult patient. As compared to, for example, those linked with using NSAID’s. some cannabis flos variants have a soothing effect, which some patients greatly appreciate. What do you think are prescribing practices that improve patient outcomes? For patients with no experience using cannabinoid products, the possible psychological side effects can be distressing. In order to avoid this we advise patients’ to start with low dosage and use the medicine in a quiet and relaxing environment. In our experience, it is advantageous to prescribe cannabis flos as an inhalational agent, administered by vaporization, as it creates more rapid analgesic effects and has a more reliable absorption profile. Are there any special considerations you make when prescribing a ‘herbal’ medicine (cannabis flos)? 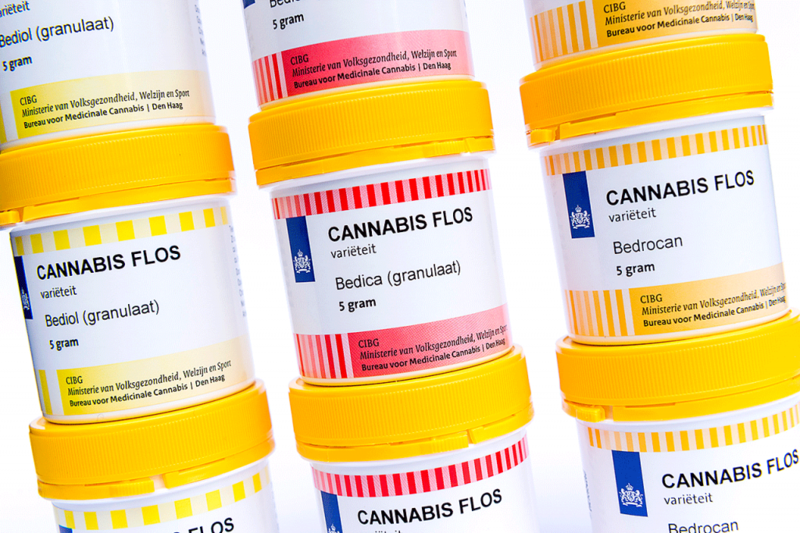 With cannabis flos, the prescribing clinician needs to be aware that in many countries the standards are different with respect to ‘regular’ medicines: concerning the quality control of the active ingredient, and toxicological contamination. Medicinal cannabis is a term used to describe the use of cannabis to treat or manage illness. It hails from a time when the products used where typically marijuana and patients smoked joints. Since that time, there have been major developments in cultivation techniques, product quality and controls. Today, the sympathetic regulatory environment favours standardised products (e.g., Bedrocan cannabis flos, Sativex) and safer modes of administration (sublingual, oral and vaporization). A prescriber-pharmacy model now offers patients better communication of risks and benefits, and the safety of health professional oversight. Standardised products and clinical research means plant-based products are closer to achieving full medicine registration. The use of the term ‘medicinal cannabis’ in these circumstances seems redundant. In this article, we talk about the therapeutic use of cannabinoids. The class of medicines containing cannabinoids (e.g., THC and CBD) and other chemical compounds secreted by cannabis plant (e.g., terpenes) that are intended to be used in, or on human beings for a therapeutic purpose. This change in terminology from ‘medicinal cannabis’ to ‘cannabinoid therapeutics’ reflects our knowledge and understanding of the endocannabinoid system, the cannabinoid receptors, endogenous (human) cannabinoids, and exogenous (plant) cannabinoids. Using cannabis flos originating from controlled producers means patients are assured there is no biological or toxicological contamination. 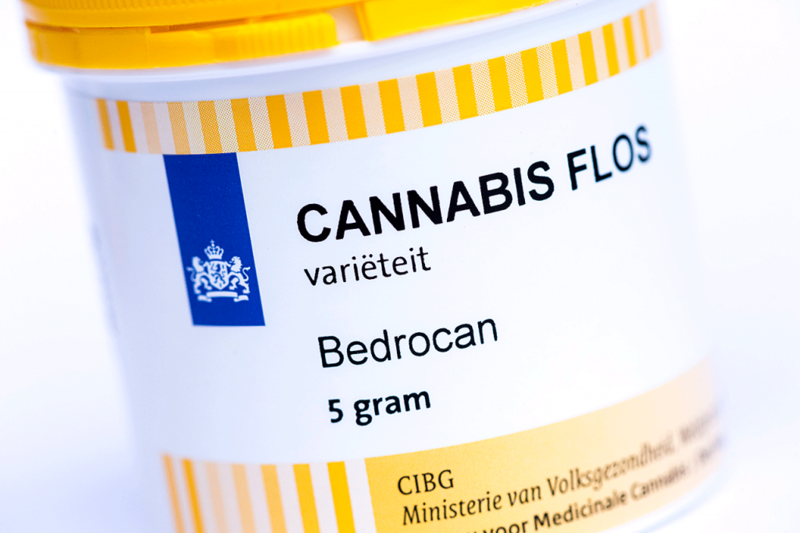 In the Netherlands cannabis flos is produced under strict quality conditions by the government licenced company Bedrocan. Aside from eliminating the harms from smoking, what are the benefits of administration by vaporization? With vaporization cannabis flos is heated to a specific temperature without burning it. Cannabinoids and terpenes are released in a vapour which is directly inhaled. avoids the disadvantages of smoking (i.e., no tar, ammonia, carbon monoxide). What do patients say about the administration of cannabis flos by vaporization? Using vaporized cannabis flos is the preferred means of use by most patients, especially when compared with an oral application. This is due to the more rapid effect by inhalation. For some years the vaporizers where reimbursed by Dutch health insurance, thereby eliminating the threshold of a financial burden for the patient. Thinking about a first consultation with a patient, how do you start a conversation about cannabinoid therapeutics? An elderly cancer patient may be hesitant to use cannabis as a medication. This likely is related to prejudices about cannabis being a product for ‘recreational’ use. With these patients, I rarely discuss the use of these medicines during a first consult. If the patient is eligible and several other therapies did not provide sufficient pain relief, I then mention cannabinoid therapeutics as a possible option. This allows the patient and his/her family to contemplate that treatment option until the next appointment. There may be patients who have extensive experience using cannabis recreationally. They may be actively looking into cannabinoid therapeutics as a potential adjunct to their pain therapy. These patients emphasise the ineffectiveness or side effects of other therapies, and may push clinicians towards prescribing a cannabis product. With these patients the topic must be discussed fully during a first consult. The main question during this consult is are they at all eligible to receive cannabinoid products. Are you aware of patients experiencing interactions with cannabinoid therapeutics and other medicines? Indeed, we do see patients who experience drug interactions using cannabinoids alongside other CNS depressant medications (e.g. opioids). Sedative effects can be enhanced especially in the geriatric population. Severe drowsiness and hallucinations can also be provoked. Aside from drug interactions, the smoking of cannabis is related to an increased risk of myocardial infarction and stroke. Cannabis as a trigger of myocardial infarction is plausible, given its cardio-stimulatory effects, which may cause ischemia in susceptible hearts. Carboxy-hemoglobinemia from the smoking of cannabis may also contribute to ischemia. Smoking is never recommended. Do you encounter diversion for misuse or the abuse of cannabinoids? How do you identify this issue in your practice? During the period when Dutch health insurers widely reimbursed medicinal cannabis, we had frequent discussions with patients, best described as ‘recreational users’, about their eligibility. Patients of this group, who were already using large amounts of cannabis, were requesting access for rather dubious indications. Some patients were seeing it as a cheap way to get a ‘recreational drug’ which they were already abusing. How do you deal with diversion for misuse or abuse in your practice? This patient group can be quite challenging. They may put pressure on clinicians to prescribe cannabinoids as the only means to relieve their pain. Mentioning misuse and abuse can provoke abrupt reactions. Clinicians should be coherent in prescribing cannabinoids only for indications with enough evidence for beneficial effects (e.g. analgesic for neuropathic pain, appetite stimulation etc). Misuse and abuse should be discussed openly if they become apparent. Bedrocan has for decades been a household name as a brand and company when it comes to the development and production of standardised, medicinal cannabis of pharmaceutical quality. Based on the knowledge that a picture is worth a thousand words, a short film has been made showing the unique combination of growing, harvesting and production (in accordance with good manufacturing practice) and research & development. The film explains in just three minutes and thirty one seconds precisely what we mean by ‘beyond pioneering’. As of November 2017, the new Dutch Bedrocan production facility officially manufactures in accordance with good manufacturing practice (GMP). This guarantees that Bedrocan meets international pharmaceutical quality and safety requirements. It is the second time that a Bedrocan production site has been made compliant with the GMP requirements for an active pharmaceutical ingredient. 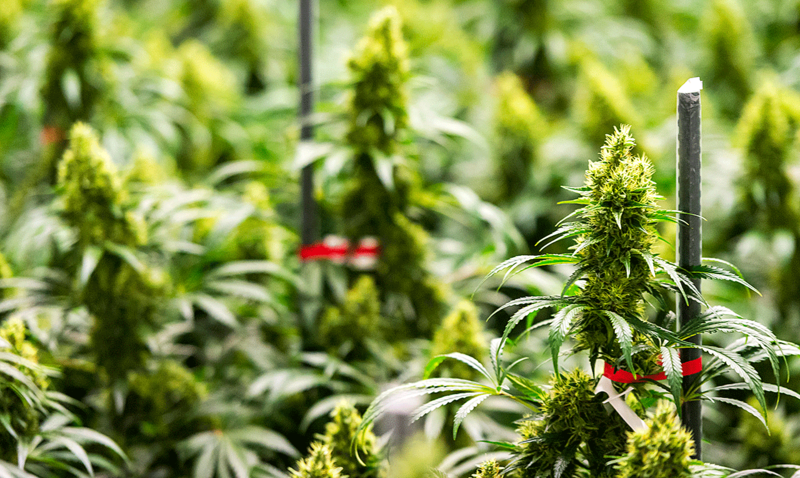 Earlier this year, the manufacturer of standardised medicinal cannabis acquired a GMP certificate for the existing Dutch production site. This made Bedrocan the first manufacturer in the world where the entire production process – including cultivation – complies with the international requirements imposed on the production of pharmaceutical raw materials and end products. On 15 September 2017, the new Bedrocan production site harvested the first batch of standardised medicinal cannabis and handed it over to the Office for Medicinal Cannabis. The new site, outfitted with state-of-the-art finishings and fittings, has a surface area of 10,000 m2, half of which is in use at the moment. With this significant increase in production capacity, Bedrocan meets the growing demand for standardised medicinal cannabis of pharmaceutical quality. Cannabis labelled ‘Sativa’ and ‘Indica’ may not come from distinct ancestries, according to a study performed by the Canadian Dalhousie University in cooperation with Bedrocan on the genetic differences between the two types and their hybrids. In this study 149 Dutch cannabis samples were analysed, correlating the genotype and chemotype to their reported ancestries. Indica- and Sativa-labelled samples were not as distinct as sub species would be assumed to be, but the genetic differences between them do correlate to their terpene profile (resin fragrance), which could explain the variation between them. Results of this new study have been presented on the International Association for Cannabis as Medicine (IACM) congress in Cologne, Germany, September 2017. There is perhaps no debate in the world of cannabis more contentious than that of species. The genus Cannabis sativa L. is the only official species, but the terms ‘Sativa’, ‘Indica’ and ‘Hybrid’ have been widely adopted by cannabis breeders and cultivators as a way of advertising their product’s effects, aromas or purported pedigree. The degree to which these labels correspond to their actual ancestry, however, is dubious, and how this informal classification scheme relates to genotype or phenotype has been largely unexplored. In the study an analysis of 149 cannabis samples was performed, correlating the genotype and chemotype (based on terpene and cannabinoid content of the flowers) to their reported ‘ancestry’. The researchers then compared the reported labels to new scales they generated by reclassifying the samples based on their genetic and chemical similarity. The Indica/Sativa classification of Dutch cannabis does not correspond to distinct genetic lineages or to cannabinoid type, but there are genetic and chemical similarities that explain the variation between the groups. Deconvolution of the Indica-Sativa ancestry showed a strong relationship between the chemical and genetic profiles, suggesting that the distinct terpene contents of the types are heritable and important to the identity of these two groups. It is likely that strains are classified by their distinct aromas, and not their lineages, which has a direct impact on the genetics of this crop. The terpene profiles of the Bedrocan products are expected to be announced in the near future. Used by patients in the Netherlands since 2003, Bedrocan® standardised cannabis flos is now available for patients in Australia. This includes the same cannabis flos currently used in the NSW palliative care clinical trial. Administered by vaporization, the consistent chemical profile of the flos better allows doctors to monitor dosage, condition progress, and reduce the risk of overdosing and unwanted side effects. Being free of microbial contaminants (molds, fungi, and bacteria), pesticides, and heavy metals, Bedrocan cannabis flos is safe for vaporization and inhalation into the lungs. These qualities are especially important for people with weakened immune systems. The recently published Prescribing Bedrocan provides information to assist health professionals on dosing, safety, and side effects. Our portal now allows doctors to report adverse events online. Novachem, a specialist import and distribution agent, will supply flos and vaporization technology to licensed pharmacies in Australia. A lot has happened in Australia and New Zealand to improve patient access to cannabis-based medicines. In this region, Bedrocan maintains is mission – to bridge the gap between patients need for cannabis and the requirements of modern medicines. Bedrocan have built strong academic and private partnerships across the globe. Our experienced international team, networks and collaborations are being strengthened here in Australia and New Zealand. Our international team are set to meet with leading researchers and practitioners who seek a better understanding of medicinal properties, the medicines safe and effective use, and education without commercial bias. Bedrocan Australia draws on our 20+ years’ experience and global network. As the world’s most experienced producer of legal medicinal cannabis, our intention has always been for cannabis flos to achieve official medicine registration. The first step is good manufacturing practice (GMP). Achieving a major industry milestone, Bedrocan is the only cannabis cultivator with end-to-end GMP. This guarantees seamless GMP production of finished dose forms – just like any other medicine. Bedrocan’s founders – Tjalling Erkelens and Wupke Bruining – will be in Australia and New Zealand during late June and early July 2017. Can herbal cannabis be used to treat fibromyalgia symptoms that are not properly managed with standard therapy? This year marks the start of a worldwide series of double-blind, placebo controlled clinical trials with standardised, pharmaceutical grade medicinal cannabis. The first trial is being conducted in Leiden, The Netherlands, where prof. dr. Albert Dahan of the department of Anesthesiology of the Leiden University Medical Center (LUMC) is leading a study on the effects of inhaled medicinal cannabis on fibromyalgia symptoms. Fibromyalgia is a disorder characterised by widespread musculoskeletal pain and sensitivity to touch. These symptoms are frequently accompanied by chronic fatigue, sleep disturbance, and emotional changes. It is estimated that around 3 to 5 percent of the general population is affected by this disease. Interestingly and for unknown reasons, the majority (80 to 90 %) of patients diagnosed with this condition are women. Commonly used pharmacologic treatments for fibromyalgia include the central nervous system depressant pregabalin (Lyrica®) and the selective serotonin and norepinephrine reuptake inhibitor duloxetine (Cymbalta®), both of which have received regulatory approval in multiple countries for the treatment of this disorder. However, while these medicines have been shown in clinical trials to be effective and relatively safe, not all patients have responded to treatment. In addition, in some patients they have been found to produce a variety of side-effects, including dizziness, drowsiness, or emotional changes which may lead to depression or even, in severe cases, suicidal thoughts. Research shows that cannabinoids – the active compounds present in the cannabis plant – can have a beneficial effect on fibromyalgia symptoms by reducing pain and improving sleep quality. Although cannabis has not been established as an approved medicine for this medical condition, surveys indicate that fibromyalgia patients already self-medicate using cannabis. Moreover, some patients have reported cannabis to produce fewer side-effects than the available conventional treatments and, most importantly, to be effective. Bedrocan International – licensor for production of standardised, pharmaceutical-grade medicinal cannabis – hypothesises that herbal cannabis can be used to treat fibromyalgia symptoms that are not properly managed with standard therapy. For that reason, the LUMC is conducting a study that evaluates how the symptoms of fibromyalgia are affected by the two major cannabinoids (the active pharmaceutical ingredients) of the cannabis plant: delta-9-tetrahydrocannabinol (THC) and cannabidiol (CBD). Specifically, a group of patients is being administered these two compounds in the form of vaporized herbal cannabis. The three different investigated drug products are Bedrocan®, Bediol® and Bedrolite®, which are standardised medicinal cannabis varieties that are legally available in The Netherlands. During the study, patients are being subjected to different established measurements and tests that will provide information about the efficacy of the medication in reducing both the physical, as well as cognitive and affective, symptoms of fibromyalgia. It is hoped that the obtained information will push standardised medicinal cannabis forward as a possible alternative treatment for fibromyalgia, particularly for patients who do not respond, or do not respond sufficiently, to existing treatments. 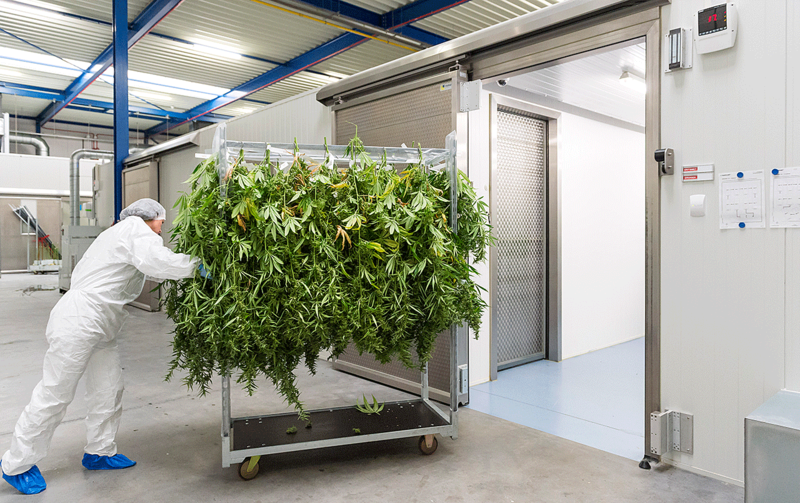 Following a rigorous inspection by the Dutch Health Care Inspectorate, Bedrocan in the Netherlands has become the world’s first producer of medicinal cannabis to be compliant with the European Medicines Agency’s good manufacturing practice (GMP) standards. This is the first time a medicinal cannabis producer has reached such a high level of compliance. Bedrocan’s production facilities in Canada and the Czech Republic are expected to become fully compliant next year. GMP is the highest standard a medicine manufacturer must meet in its production process. Bedrocan’s GMP status is a guarantee of the highest quality in both its cultivation and packaging process. Since 2003, Bedrocan has produced standardised medicinal cannabis as an active pharmaceutical ingredient (API). It is the only company in the world to produce cannabis flos (the whole, dried flower) with a constant composition of cannabinoids and terpenes. Bedrocan’s Dutch-made medicinal cannabis supplies patients and researchers in the Netherlands, Germany, Finland, Israel, Italy, Macedonia and Poland. 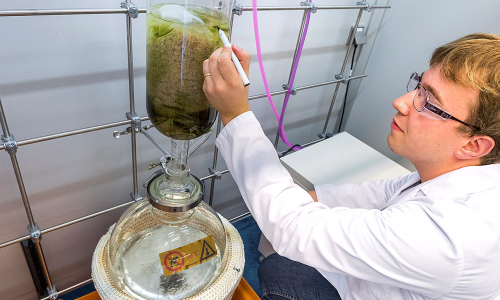 In Australia it is used in Australia’s first clinical trial of vaporized cannabis flower bud. In Canada and the Czech Republic, Bedrocan’s unique production methods are licensed to exclusive partners. Modern clinical trials are typically performed as double-blinded, placebo-controlled studies. To meet these needs, Bedrocan now offers placebo versions of all of our strains for use in clinical studies. Each placebo contains the precise terpene profile of the original strain, with all cannabinoids removed. The method we use to turn active cannabis into placebo uses homogenised cannabis as the starting material. We do this through a process called granulation, where the cannabis is broken up into smaller particles. For that reason, placebo material only comes in the form of granulate. 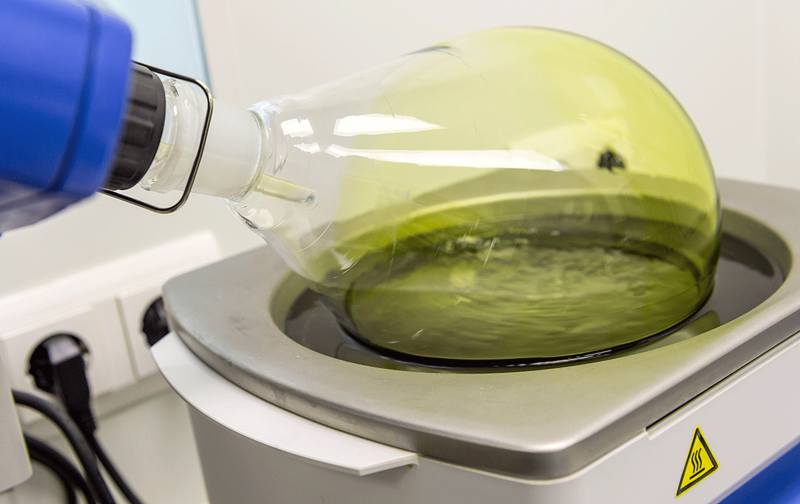 Full HPLC (high-performance liquid chromatography) and GC (gas chromatography) profiles are available on request, showing detailed information about cannabinoid and terpene content of all varieties. Click here for more information about our placebo. Detailed chemical analysis shows clear differences between Sativa and Indica types of cannabis. The terms Sativa and Indica have been used for centuries by cannabis cultivators and end users to identify certain types of cannabis. Patients have learned to use these terms to navigate their search for their favorite variety, but it was unclear how this reflected actual differences in chemical composition and medicinal effects. A recently completed study, commissioned by Bedrocan International, shows that certain terpenes are the chemical markers that distinguish Sativa from Indica type cannabis. The use of biochemical markers is a useful addition to the commonly used classification system based on popularized vernacular or ‘cultivar’ classification names such as Amnesia Haze or Purple Kush. A more advanced scientific approach makes it easier to discover varieties with chemical composition (‘chemovars’) that better match patients’ pharmacological needs. 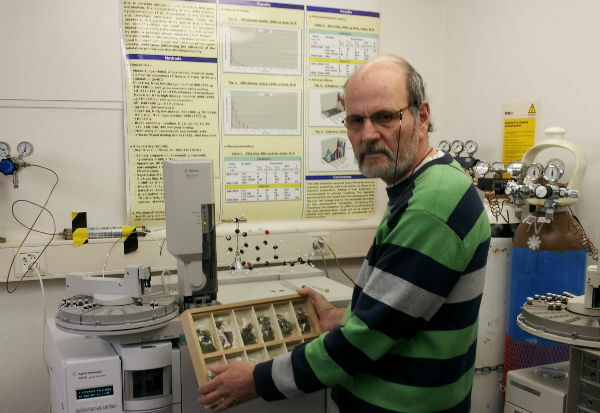 In his study, titled ‘From cultivar to chemovar II’, Dr Arno Hazekamp analysed the largest collection of cannabis samples (460) reported in scientific literature. Samples were chemically mapped and divided into clusters with similar composition. The study showed that Sativa and Indica samples were clearly different on a chemical level, with certain terpenes as the main markers. Hydroxylated terpenes (also known as terpenoids) were significantly more prevalent in Indica type samples. Opposite to common belief, Sativa and Indica types did not differ in their average content of THC or CBD. Bedrocan International recently sold its remaining shareholdings in Canada based Canopy Growth Corporation (CGC). Herewith the licensor of the global Bedrocan brand underlines its medical disposition in Canada. Bedrocan International distances itself from Canopy Growth’s clearly expressed future strategy, aiming for large scale production of cannabis for recreational use under the expected legalization in Canada by the Trudeau government. Bedrocan International remains fully committed to support and upgrade the Canadian Bedrocan facility acting solely under the name Bedrocan Canada to the highest technical and pharmaceutical standards for it to meet increasing demand and the need to be GMP-compliant. Thus serving the needs of Canadian patients and their physicians. It is the ongoing intention of Bedrocan International to serve patients in Canada with medicinal cannabis only of the highest quality. With this defined position, along with a renewed production facility, Bedrocan International looks forward to further fulfilling its mission and vision in Canada with Bedrocan Canada as its exclusive licensee in Canada. Gamma-irradiation does not cause significant changes in the composition of medicinal cannabis. A recent study has shown that the most important therapeutically active components THC and CBD are not affected by the radiation. Herbal cannabis products, often used by vulnerable patients, are treated by gamma-irradiation to free them from contamination with potentially harmful microbes. Patients have occasionally expressed their concerns about the effects of irradiation treatment on medicinal cannabis. Some have claimed a change of taste or effect, while others worry about changes in the chemical composition or the quality of their medicine. The study evaluated the effects of irradiation treatment on four different cannabis varieties covering different chemical compositions. Samples were chemically analysed before and after standard gamma-irradiation treatment. In addition, water content and microscopic appearance of the cannabis flowers was evaluated. The effect of gamma-irradiation was limited to a slight reduction of some terpenes present in the cannabis, but keeping the terpene profile qualitatively the same. No effects on THC or CBD content was observed. Based on the study results gamma-irradiation of herbal cannabis remains the recommended method of decontamination, at least until other more generally accepted methods become available. The study was undertaken by Dr Arno Hazekamp, an international authority on biochemical cannabis research, and commissioned by Bedrocan. Many of us have heard of vaporizers, and instantly we think of ‘e-cigarettes’ or ‘vape-pens’. However, these are not the only types of vaporizer available. This article discusses the topic of administering cannabis flos by vaporization and inhalation into the lungs. It explores several aspects of vaporization, highlighting the importance of using medical grade administration devices in combination with standardised, pharmaceutical quality cannabis flos. Vaporizers (as medical devices) for the administration of cannabis flos are in fact quite different from ‘vape-pens’ or ‘e-cigarettes’. The vapour does not contain nicotine, or carries agents such as liquid propylene glycol, glycerol, or synthetic flavours. The large, socially intrusive vapour clouds of ‘e-cigarettes’ do not apply for the medicinal use of cannabis flos by vaporization. It should be considered that currently none of the ‘e-cigarettes’ or ‘vape-pens’ for inhalation of cannabinoids have been subjected to any scientific or clinical testing. Vaporizer medical devices offer patients an effective, safe, and easy to use delivery system for cannabis flos. The inhaled vapour contains THC, CBD, and terpenes in consistent, measurable quantities. This is something not otherwise possible via oral administration. Importantly, the use of a vaporizer medical-device avoids the respiratory disadvantages of smoking, by virtually eliminating exposure to toxic compounds linked with cannabis smoke. Fully standardised, pharmaceutical-quality cannabis flos provides a suitable medicinal product for vaporization and inhalation into the lungs. The vapour of cannabis flos contains therapeutic levels of cannabinoids and terpenes. Harmful compounds are virtually absent, making it suitable for use by immune-compromised patients. For vaporization to be truly effective, the cannabis product used with it must be of pharmaceutical quality. Fully standardised cannabis flos assures dosage composition, repeatability and the ability for patient and prescriber to effectively adjust dose by titration. A critical factor to build the evidence-base of medicinal cannabis, it is essential to be able to compare findings from different clinical trials and studies across time. That means the exact quality and dose of the cannabis, used for different conditions, should be known. Finally, pharmaceutical quality cannabis flos is required from a public and patient safety perspective. Cannabis flos must be free of contaminants such as microbes, pesticides and heavy metals, qualities that make the vapour safe for inhalation into the lungs. The most efficient administration route of medicinal cannabis is by inhalation. Indeed, administration by inhalation is a rapid way to induce measurable serum levels of cannabinoids. A vaporizing medical device, compared to smoking, dramatically lowers concentrations of toxic compounds such as carbon monoxide, ammonia and polyaromatic carbohydrates (PACs). Compared to smoking, higher therapeutic levels of THC and consistent, reproducible THC extraction and delivery is possible. The vapour is quickly absorbed by the lungs, permitting patients to effectively titrate to optimise their dose based upon symptom severity, tolerability and avoidance of side-effects. The rapid onset of effects of inhaled cannabinoid use allows easier titration of dose, while standardised cannabis products enable patients to administer an exact dose. In practice, with prescriber guidance, patients initially focus on ﬁnding a dose range that works for their speciﬁc condition. On average, patients in the Dutch medicinal cannabis program use only 0.7 grams of cannabis flos per day, divided over multiple doses. Smoking cannabis in the form of cigarettes (joints) is still the most common way of consumption today, for medical as well as recreational users internationally. The advantage of vaporizing over smoking is obvious with regard to irritation and respiratory complication resulting from smoking. The presence of non-THC constituents, including anti-inﬂammatory terpenes that protect the lungs from irritation, are present in the cannabis flos vapour. This makes vaporizing the obvious and healthier choice for administration of the full range of therapeutic compounds present in the cannabis plant. The importance of vaporization is underlined in patient use surveys. The majority of survey respondents report higher satisfaction (approval) scores with the inhalation route. In general, whole plant, herbal cannabis-based medicines received higher scores than other products containing isolated cannabinoids. While smoking may be a popular administration method internationally, it is evident patients are looking for alternatives to smoking. Patients seek a reliable, affordable and portable vaporizer for administering cannabis flos. Presently there is research dedicated to advancing administration technology. 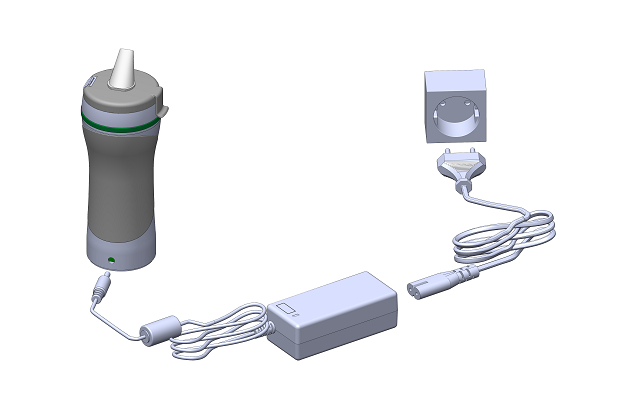 Some examples of major developments in vaporizer medical devices, using standardised cannabis flos, include the Syqe® Inhaler (Syqe Medical), and the Bedromedic® vaporizer. All devices have relied on Bedrocan standardised cannabis flos for their quality testing and clinical trials. Vaporizer medical devices, delivering standardised doses, underline quality assurance, safety, and efficacy. With these administration technical advancements, smoking of cannabis flos can soon be a thing of the past. Backed by proper scientific studies, medicinal cannabis flos will become an acceptable therapeutic among patients, prescribers, and regulatory authorities. The content of exhaled cannabis vapour contains no pyrolytic compounds for second-hand exposure. However, it is not exactly known how exhaled vapour is dispersed in the air, and whether there may be significant levels of cannabinoids present in the exhaled vapour. No vapour cloud dispersion studies have yet been conducted. As a result, it is undetermined if passive intake of cannabinoids would present an occupational hazard to health professionals and other carers. While the levels are not likely critical to health and safety, this is an important future research to be undertaken. Absorption via the lungs may reduce total daily intake. Cannabis flos and granulate. A vapour of cannabinoids and terpenoids. Highly efficient and fast acting. Between 2-10 minutes.